Welcome to the twenty ninth issue of The Old Princethorpian, Princethorpe College's termly e-newsletter for past pupils, staff and parents, old and new. This issue includes the latest Foundation and College news, plus plenty of news and updates from OPs across the decades. If you have any comments on the e-newsletter or news to contribute to the next issue, which is due out in mid February, please email us at oldprincethorpians@princethorpe.co.uk. Coming up soon is our Former Parents Brunch on Saturday 13 October, Prize Giving and the Pre Drinks Reception for last year's Upper Sixth on Friday 16 November and the College Christmas Fayre on Sunday 2 December. It was lovely to see so many familiar faces at the OPs vs College Sports Day, held this year on Saturday 1 September, and to welcome Harbury RFC to the College for the first time for the final match of the day against the OPs XV. Held in glorious sunshine, it was clear that everybody had a lot of fun. In the OPs v College 1st XV match the OP's were clearly physically stronger, they had obviously spent the summer 'bulking up', and their greater strength proved to be their trump card. As is usual in this fixture, the College team paid their elders far too much respect which the OP side capitalised upon. In the OPs V Harbury match, through various reasons of injury and absence it was a very much depleted OP side, they stayed in the game to the last quarter when, a slightly more well drilled Harbury side eased ahead to a comfortable victory. OP stalwart, Peter Rollason, commented "Yours truly was extremely disappointed not to be able to play due to a hip injury, my only contribution was a rather mediocre dropkick to kick-off the match wearing a Harbury sock, an OP sock, Harbury shorts and and an OP shirt!" Thanks to all the players, supporters, organisers and caterers for making the day such a lovely relaxed affair. Following the successful trip to visit the Old Princethorpians in Hong Kong at Easter last year we are delighted to announce that Alan Young (1978 - 1981), has kindly agreed to become the Old Princethorpians Chairman For the Hong Kong and Asia Chapter of the Association. Alan's new role, a first outside the UK, is in recognition of the stirling work he has done on behalf of the Old Princethorpians and the kindness and immense fondness he has shown for the College over the years. 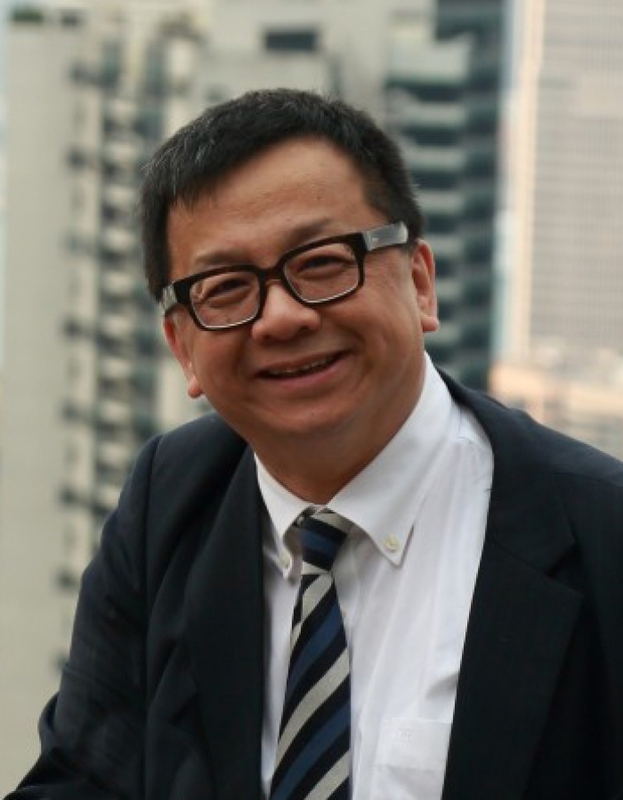 We are hopeful that Alan will form a committee in Hong Kong, alongside longstanding friends and OPs Nelson Ngai, Vitus Leung and Heman Lam, plus some OPs from other generations. Alan wll be the principle contact for OPs in Hong Kong and Asia, encouraging connections between OPs, contributions to our newsletter and to reach out and engage with any OPs that we have lost touch with or who are not yet involved in the association. Comments Alan, "I am honoured to be given this new role, Princethorpe holds a very special place in my heart. We have been holding informal gatherings about twice a year since returning to Hong Kong in the early 80s, By having a Princethorpe endorsed OP Chapter over here, I am sure we should be able to gather more OPs from across the generations for future gathering and functions as these will then be "legal!" Alan can be contacted via Facebook or by emailing oldprincethorpians@princethorpe.co.uk. Old Princethorpian Ciaran Convey (1981- 1998), pictured, is masterminding a twenty year reunion weekend for the the leavers of '98, or those who were in this year group who perhaps left before the end of Sixth Form. The reunion is set to take place in the Leamington area towards over the weekend 23/24 November and Ciaran has set up a Facebook group that already has nearly 60 members. If you are interested in finding out more, you can ask to be added to the group by clicking here or email oldprincethorpians@princethorpe.co.uk and we will put you in touch with Ciaran. 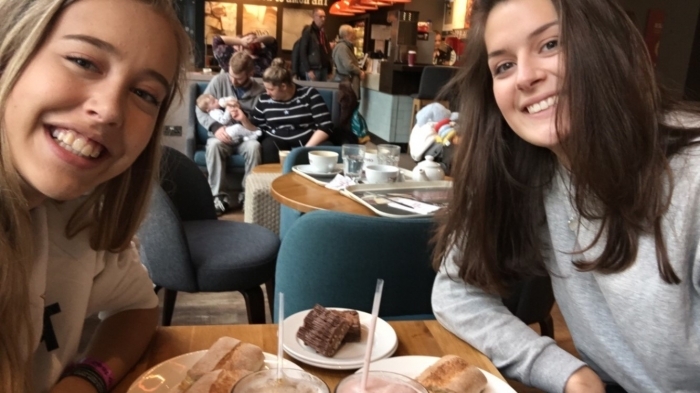 The Old Princethorpians' new initiative, OP Friendly Faces, has had a successful start as the College's Upper Sixth Leavers have been heading off to university over the last few weeks. OP Friendly Faces aims to link past pupils established at university with first year OP students. 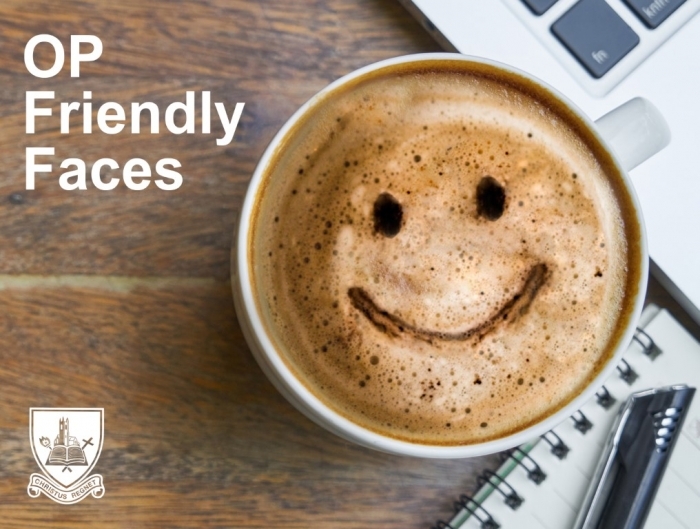 Providing a friendly, familiar face to meet up with over a coffee (compliments of the OPs) or having someone to call in their new uni town or city, will, we hope, make for a smoother experience in those first few weeks away from home and help establish a support network of OPs in universities across the country. This year's Upper Sixth leavers received information on the scheme at their Leavers Eucharist and more information on A-level Results Day, and work has been done behind the scenes putting those who wanted to take part in touch with their OP Friendly Face. Comments OPs Secretary, Melanie Butler, "We are delighted to have already matched up a number of OPs around the country. Meet ups have already taken place in Manchester, Leeds and Nottingham and for two of our students who are starting at Oxford. We have OP Friendly Faces in around 30 university towns and cities and there is still time for people to get involved." 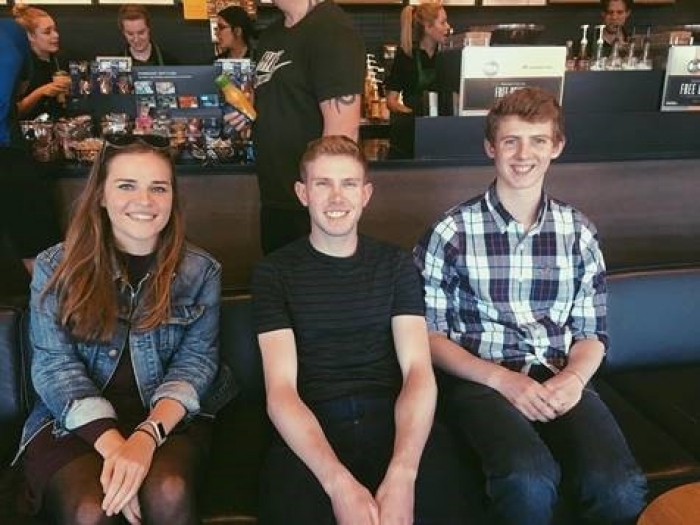 New Oxford Languages graduate Rhiannon Edwards, took time to meet up with first year Oxford undergraduates Nick Bonsall and James Fletcher in Leamington, before they set off for uni. Comments James Fletcher, "The Friendly Faces meet up was really helpful, we spoke about many aspects of university life at Oxford from Fresher’s Week, to workload and extra-curricular. It was reassuring to be able to hear from someone in person that, whilst it’s certainly tough, it is manageable and you can still enjoy the social side of university. The meet up really helped to settle my nerves before going off to Oxford this week." Rhiannon added, "We had a great chat, I really enjoyed it and wish them both all the best at Oxford." 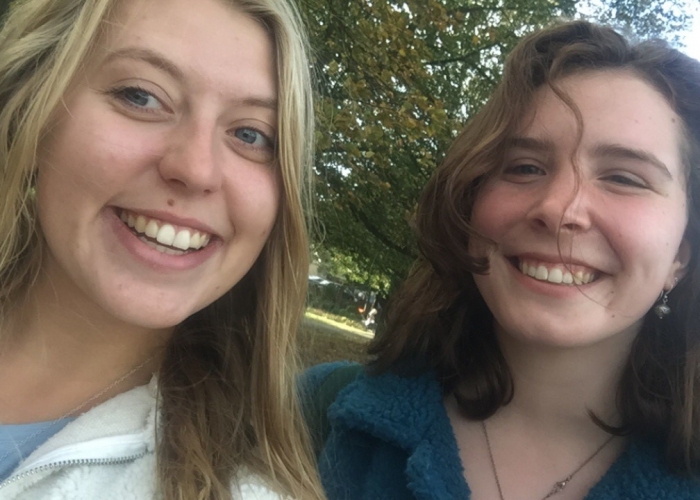 Second year Leeds English student, Lotti Morton met up this week with first year English student, Imo Butler, she comments, "We chatted about nice hidden places to visit in the city, the changes that come along with settling into such a different lifestyle and how our course develops through the year! We told each other about our flats and I shared my first year experiences which were hopefully quite reassuring!" Imo agreed, "It was really nice to talk to someone, who has just gone through what I am experiencing and we are hoping to meet up again soon!" If you are interested in OP Friendly Faces (either as a Friendly Face or a new undergraduate) please email oldprincethorpians@princethorpe.co.uk. Old Princethorpian Matt Parsons, now a member of the teaching staff at the College, is to offer a short tour of the school to other leavers of 2002 on the morning of Saturday 17 November. Comments Matt, "I have been meeting up more frequently with friends from my year group over the last few years and there is definitely an appetite to see how school is looking and to see some of the improvements that have been made. 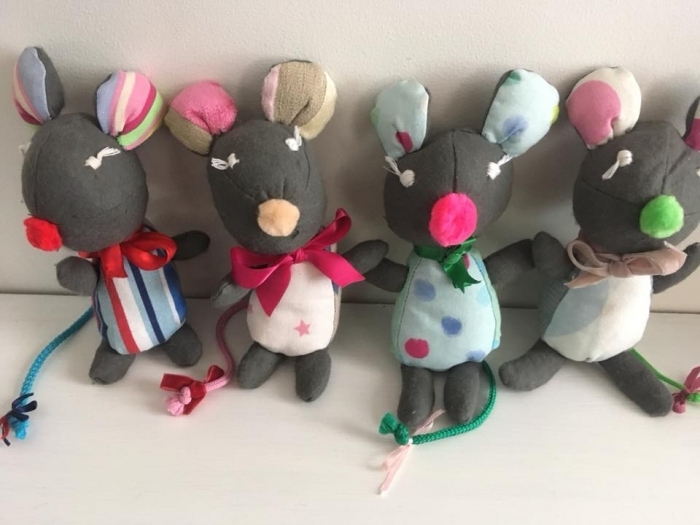 I thought it would be nice to invite some friends back for a look around and open that out to others who might like to join us for a bit of a get together." Those interested who left in 2002 or were in that cohort, should email oldprincethorpians@princethorpe.co.uk and we will put you in touch with Matt. The tour lasting approximately an hour will start at 11.00am, meeting in the playground, and will take in the Chapel, Music Department, Library, Theatre and the new Sixth Form Centre and Limes Building. Light refreshments will be served at the end. Following the success of the Hong Kong Old Princethorpian Reunion in April, we would love to reach out to our Princethorpe network across the pond! 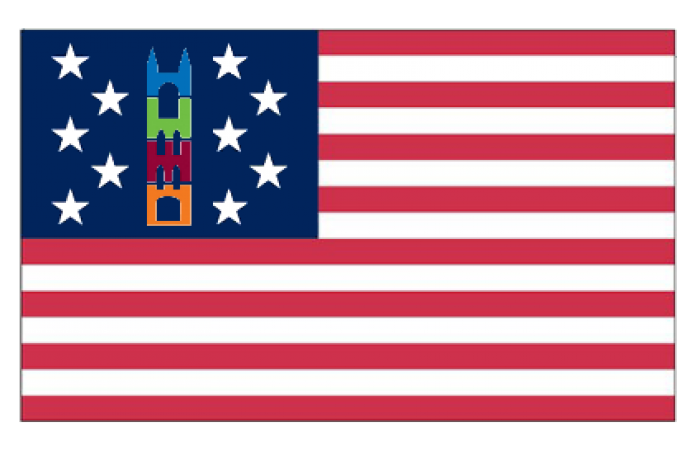 We know that we have at least fifty Old Princethorpians working or living out in the USA, but we suspect there may be many more and we would love to hear from you! Many of our OPs are based on the East coast, but we imagine we may have Princethorpians dotted around the whole of North America! If you might be interested in a reunion in Spring 2019, if you just want to say hello, or if you know of family or friends living or working in the States, please do get in touch by emailing oldprincethorpians@princethorpe.co.uk. This year's Old Princethorpians' Summer Supper lived up to its name as the College basked in balmy summer sunshine on Friday 22 June. The popular event made a come-back this year, after last year's Golden Jubilee festivities, and was aimed specifically at the leavers of 1968, 1978, 1988, 1998 and 2008, celebrating their respective 50th, 40th, 30th, 20th and 10th anniversaries. The Old Princethorpians had reached out to those OPs on its database by email, post and via Facebook and had a very positive response especially from the leavers of 2008, with nearly 30 from that year's Upper Sixth attending. There were also a small number of leavers from 1978 and 1988, plus other years represented. The 90 or so guests also included the OPs Committee, former staff, staff who have worked at the College since 2006 and staff who are leaving at the end of this academic year. After an optional tour of school, ably-led by Alex Darkes and Eddie Tolcher, the guests gathered in the Quad for drinks, before moving to the Main Dining Room for a delicious hog roast and salads followed by summery desserts. Following a very convivial meal, Headmaster, Ed Hester and OPs Chairman, Peter Rollason addressed the throng and gifts were given out to long serving staff and staff who were leaving. As the evening drew to a happy close, an unexpected fire alarm, saw the party move outside before everyone made their way home or to continue with the revelling. Commented OPs Chairman, Peter Rollason, "A good time certainly seemed to be had by all. 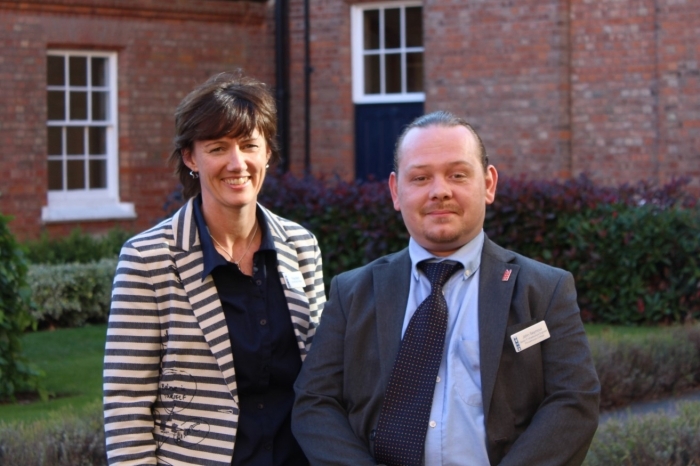 It was particularly pleasing to see such a large number of leavers from 2008 celebrating their tenth anniversary with us and to hear how well they are doing." 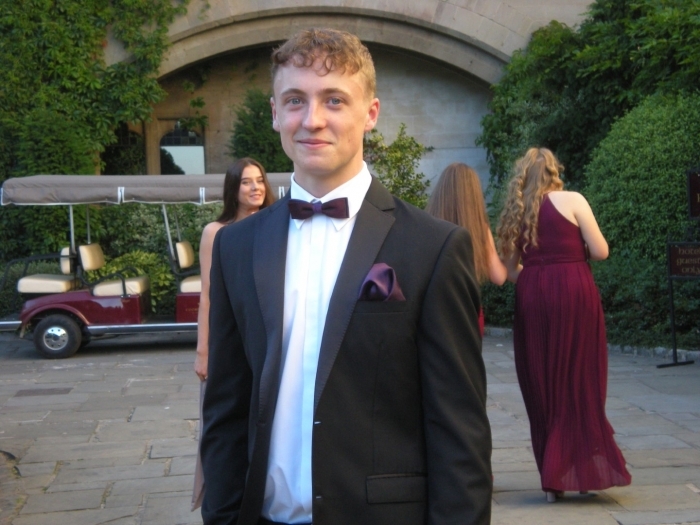 Malachy O'Keeffe, Former Head Boy of 2008, added, "It was such a lovely evening and great to see so many old faces, both from my year group and the teaching staff. We are already talking about how much we are looking forward to doing it again in the future." Next year's OPs Summer Supper will take place on Friday 28 June 2019 when we will be celebrating the leavers of 1969, 1979, 1989, 1999 and 2009. If you would like to come along please email oldprincethorpians@princethorpe.co.uk. Leavers of other years and partners are most welcome too. 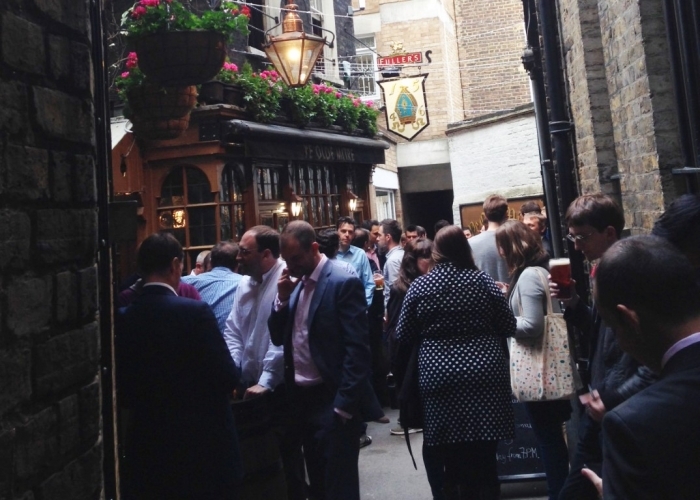 We had a cracking evening at Ye Olde Mitre on Friday 18 May at the OPs London Pub Meet. A tremendous number of Old Princethorpians from across the generations managed to find their way to this quirky, historic venue and up the steep stairs into the cosy Bishop's Lounge. It was particularly nice to see some newcomers to OP events including Emilio Doorgasingh, Corin Johnson, Charlie Emerton, Simon Fisher, Maddie Sykes and Andrew Bunt and to wish many happy returns to birthday boy, Harry Robinson. London stalwarts, Daniel Bevan, Joel Gleghorn, Aaron Jaffer, Chris Santamarina, Michael Nagaur, Jeremy Peacock, James Simpson, Carmen Simpson and Ian Rudolph joined in the fun with the Princethorpe contingent led by OPs Chairman, Peter Rollason, Alex Darkes, Eddie Tolcher, Loretta Curtis, Rachel Hadley-Leonard, Harriet Brember and Melanie Butler. One of the loveliest things to see was how well all the Old Princethorpians got along together, regardless of whether they had been at Princethorpe in the 60s or had only left three years ago! Roll on the next OPs event, our Summer Supper on Friday 22 June, celebrating the leavers with an 8 in their leaving year. Leavers from other years are most welcome too. OP Mark Hartley, owner of the Warwick bike shop Velo Esprit, and his technician Jason Mountford returned to Princethorpe on Friday 15 June to give the College’s cycling club a practical demonstration on how to maintain their brakes, tyres, chains and gears. It was a useful lesson for Princethorpe’s cycling enthusiasts on the essentials of bike maintenance. 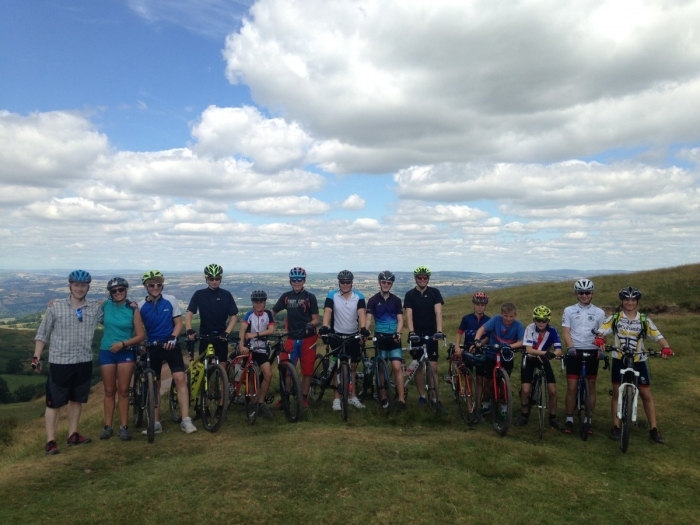 Over the summer holidays, Princethorpe College’s Cycling Club undertook the 202-mile Coast-to-Coast Challenge that runs from the bottom to the top of Wales. It is an infamous route, known as the Lon Las Cymru, and one that really tests a cyclist’s mettle. 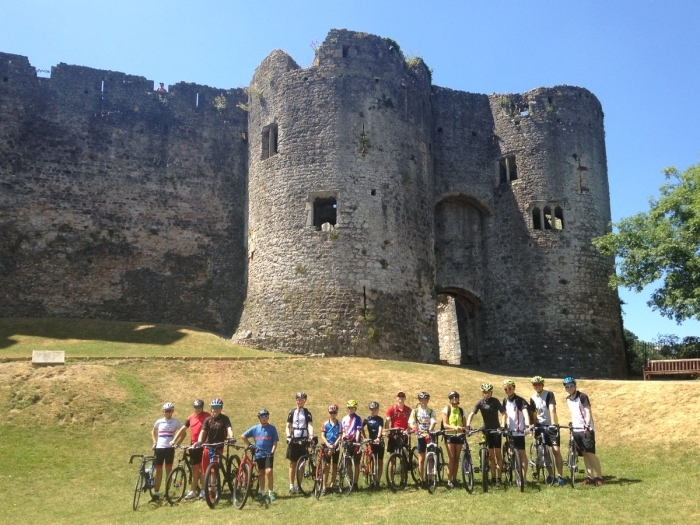 On the seven-day trip, eleven pupils and four staff pedalled from Chepstow Castle in the south, up through the Gospel Pass and Hay-on-Wye, into the Black and the Cambrian Mountains, then up into Snowdonia, passing through Machynlleth, Dolgellau and on past Harlech and Criccieth Castles to finish at one of the loveliest towns in North Wales, Caernarfon. Along the way, Princethorpe’s tourers cycled up through the highest pass in Wales, undertook one of the steepest ascents in the National Cycle Network and enjoyed some of Wales’ most picturesque views. Friday evening’s cycling club is a regular in the College’s extra-curricular programme that welcomes over twenty keen cyclists each week, pupils work towards Bikeability awards, that teach cycle road craft, route planning and develop confidence on a range of roads. Huge thanks to Mark and Jason for their support and advice that helped make Princethorpe’s 2018 Cycling Challenge a super summer adventure. Princethorpe College’s annual Primary School Challenge took place on Wednesday 13 June. Over 120 pupils from Rugby-based The Revel Church of England Primary School, English Martyrs Roman Catholic Primary School and for the first time St Lawrence Church of England Primary School from Napton, near Southam, came to the College to participate in a day of team building challenges and a track and field athletics competition. The day started with a series of team building exercises that required the children to temper their excitement and work effectively together, communicating and problem solving. Each team took part in ten activities that included co-ordination challenges such as plank walking, communication and trust tasks like the blind-folded obstacle course, puzzle problems including the bucket lift and the rope tangle and many more. It was fantastic to see so much enthusiasm and enjoyment as the groups faced and overcame each task. Following a pit-stop for a Princethorpe cookie, the children then took to the College’s playing fields for the track and athletics competition. They participated in a range of events, including both the long and the high jump and sprint and endurance races on the track. The event also gave the College the opportunity to welcome back some recent Old Princethorpians who kindly gave up their time now they are back home from university to help organise and facilitate the day. Our thanks go to Nick Bond, Evie Bonsall, Bethan Ellis, Lauren Hall, Peter Hitchman, Mollie Hughes, Zoe Hyland, Harry Jones, Meg Lewis, Hannah Malam, Charlotte Plant, Olivia Pope, Gemma Rees, Annie Salter and Jo Stanley who together with Teaching Assistants Nick Bonsall, Sophie Rejali and Taylor Vaughan and PE staff Hannah Carminati and Emma Nobes helped facilitate the event. 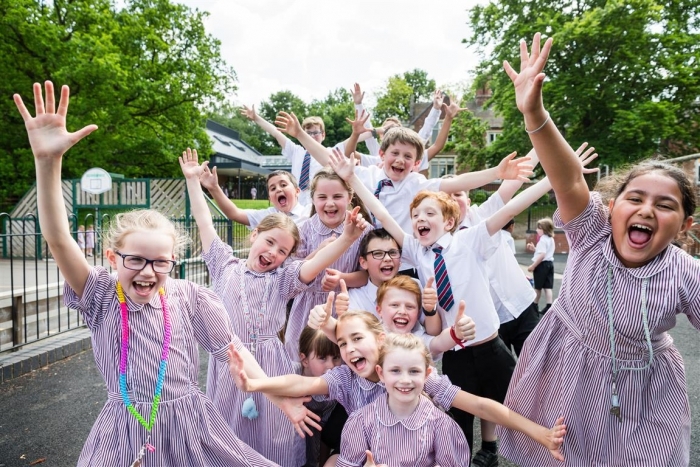 They very much enjoyed catching up with each other, as well as with their former teachers, and that all added to the carnival atmosphere of the event, which is now a firm favourite on the Princethorpe calendar. OP Merchandise - The Perfect Christmas Gift! Stuck for Christmas present ideas for the OPs in your life? Look no further as items from the OP range of merchandise make the ideal gift for Christmas, birthdays or anniveraries! The Old Princethorpian tie. A classic 100% silk tie with a repetitive gold Tower design and thin red diagonal stripes on a dark blue background - priced £18 + postage and packing. Stocks are available now, to order any item please click on the attached Old Princethorpians Merchandise Order Form or email Old Princethorpians. "Princethorpe College - What's It All About?" That’s the question followers of the College on social media saw in early September. 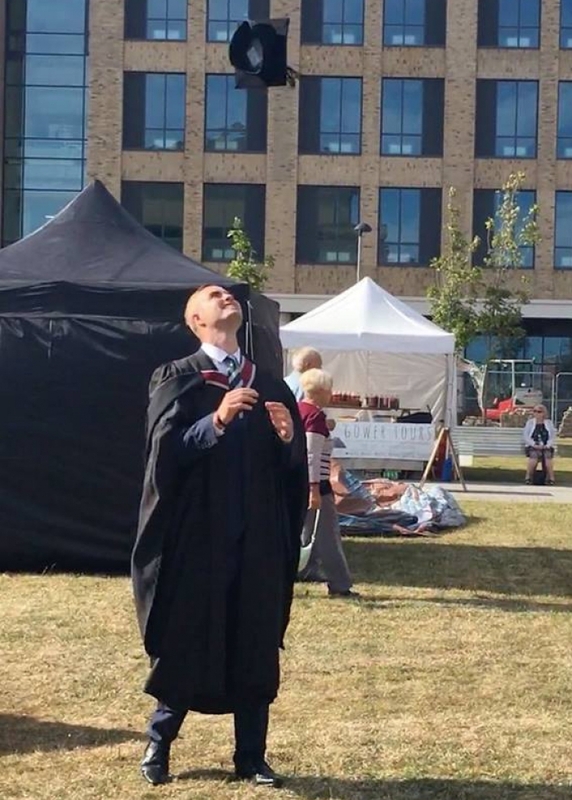 The cryptic message along with a teaser video and photographs was repeatedly posed in a countdown to the big reveal on Friday 14 September at 4.00pm when the new College film was premiered. The film, produced by the Foundation Marketing Team and award-winning Affixxius Films, was shot over the Lent and Trinity Terms and aims to communicate the all-embracing nature of Princethorpe, the wealth of opportunities on offer and the individuals who make up our community. It also celebrates the College's beautiful setting. The launch coincided with the big push for College admissions in 2019 in the lead up to the entrance exams in November. Thanks to all the pupils and staff who helped and took part in the film - what stars you are! 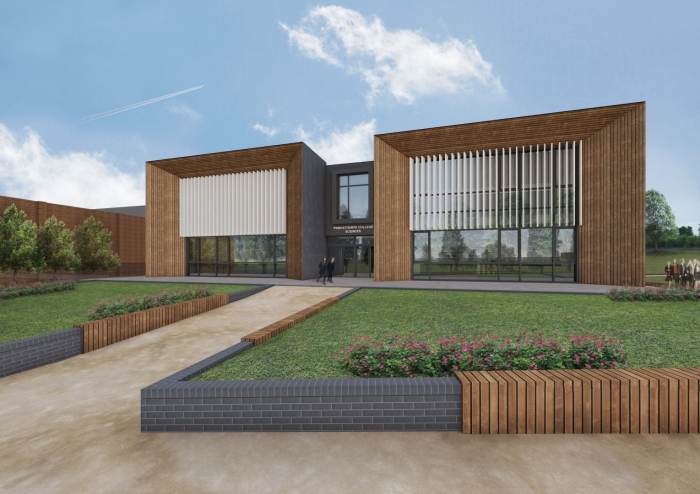 Princethorpe is putting Science at the forefront of its vision for the future, with the announcement of plans for a new state-of-the-art Science building. Planning has been submitted this September for the two-storey, £8 million building, which will see Biology, Chemistry and Physics sited together in one dedicated location. It is hoped that construction will start on the project within the next three years. This is the latest in a programme of capital investment in the infrastructure of the College, including recent projects such as the refurbishment of the Clarkson Theatre and the Roundhouse for the Performing Arts, the Limes Building for Modern Foreign Languages, English and ICT and restoration of the wooded lake area known as Switzerland for outdoor education. At just over 1,600 sq metres, the building will provide contemporary, spacious and well-equipped accommodation for the three Sciences including ten new laboratories, preparation areas, staff bases and toilets. 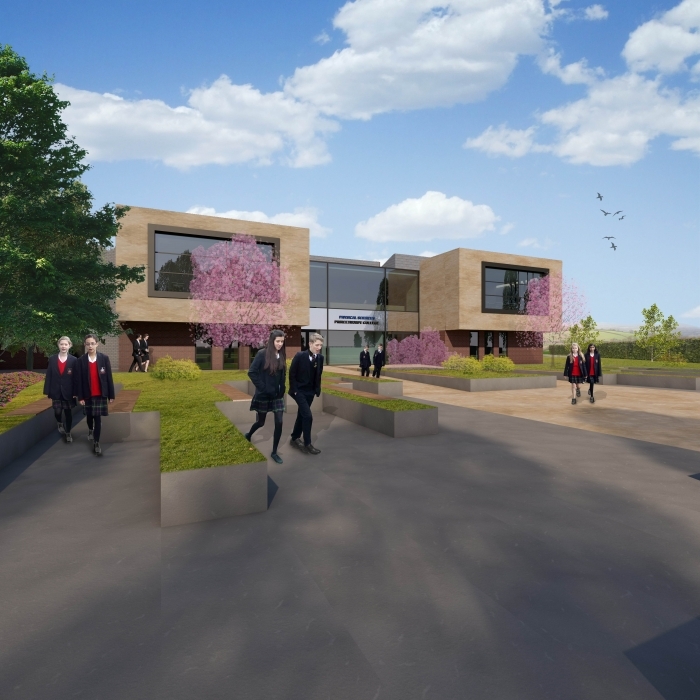 The main entrance of the new block will face the Lime Walk and the side of the building will abut the existing Limes Building at the top of the North Lawn. The two buildings will be connected on both floors creating free flow for pupils and staff between them. The area in front of the new building will be attractively landscaped with a central square feature. The project will also enable the College to redevelop and cluster other departments, providing permanent homes for Economics, Business Studies, Geography and Classics and dedicated laboratory areas for Academic PE. Plans are also afoot to provide additional catering and seated dining facilities. This last major phase of the upgrading of the school’s accommodation will benefit all of the College’s 900 plus pupils. The project has been designed in collaboration with Leamington-based AT Architects. 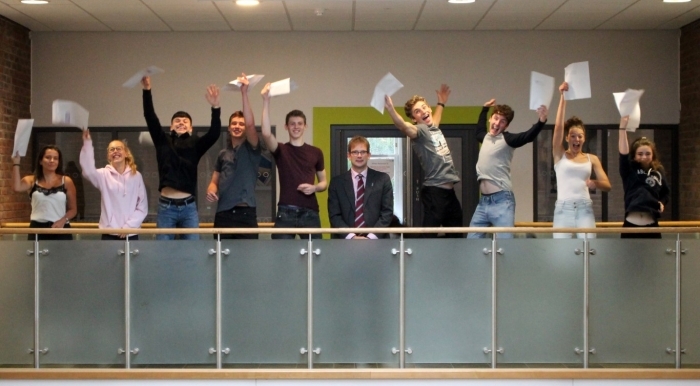 Princethorpe College is celebrating another year of excellent exam results. This summer over a third (34%) of all A-level grades were A* or A and more than 80% of grades were C or better; at GCSE 43% of all entries were graded the coveted new 9, 8 or 7 grades (A* or A) and 39 pupils achieved eight or more 9, 8, 7 grades (A* or A). Amongst the seventeen high fliers who achieved three or more A* or A grades were Head Girl, Miriam Isaacs, Head Boy, Tim Duffy, Ed Williamson who received his results on his 18th birthday and the College’s highest achieving student James Fletcher who will now go on to read Law at Trinity College, Oxford. Many Princethorpe pupils nailed the new 9 grade with the best individual results achieved by Caitlin McBride who achieved nine 9s, two A*s and an A grade and Sophie Mitchell who achieved nine 9s and two A* grades. Princethorpe pupils performed well in all the core GCSE subjects but the College is particularly delighted with its best ever English results with 64% of pupils achieving 9, 8 or 7 grades. Given the rarity of the new 9 grade, and the new more demanding GCSE courses, Princethorpe’s pupils really excelled themselves: the College also had 11 pupils achieve a grade 9 in Art and its Scientists secured no less than 41 grade 9s. Headmaster, Ed Hester, continued, “All credit goes to our pupils and staff for their commitment and hard work. 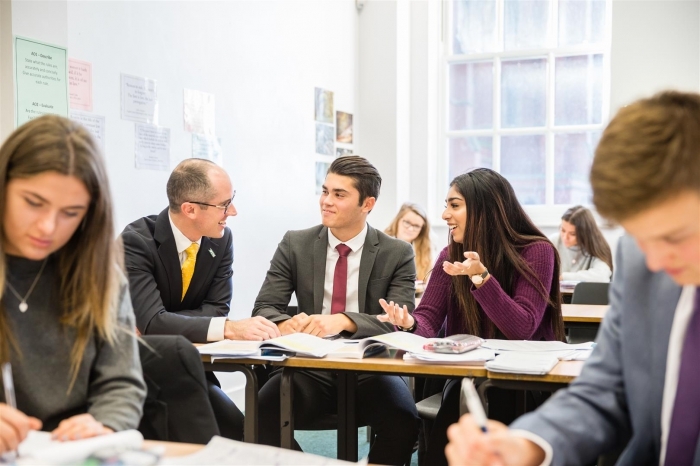 Our 2018 A-level and GCSE results are very strong indicators that the school’s academic achievements across the ability range continue to go from strength to strength." With just five weeks to go now, the countdown to the College's Entrance Exams for admission in September 2019 is well underway. This year the exams for Year 7 to 10 entry will take place on Saturday 10 November from 9.30am to 3.30pm. Our friendly Admissions Team has been kept busy over the summer and so far this term accepting registrations for the examinations from prospective parents. We need registrations as soon as possible now to enable the seeking of references from junior schools. Comments Melanie Butler, Assistant Head, Marketing, Admissions and Communications, "Interest is at an all time high but parents and pupils do still have time to visit the College and prepare for the exams. The results will then be out for the end of November, making for an exam-free Christmas holiday, which has got to be good news." For more information on the admissions process click here to visit our Admissions Update newsletter. 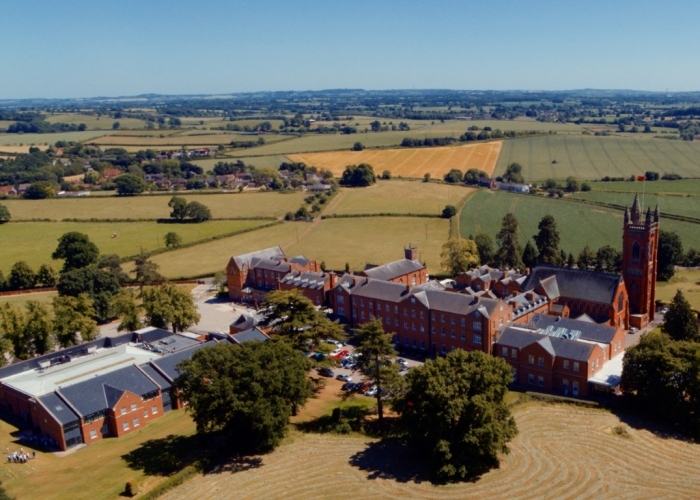 If you have any queries relating to admissions please feel free to email the Registrars at admissions@princethorpe.co.uk or call them on 01926 634201. This month Princethorpe College was delighted to hear that one of the Camps International projects supported by Princethorpe pupils back in July 2016 has now been completed. The Year 11 and Lower Sixth pupils who travelled with, then Head of Biology, Faye Roberts worked on three projects that summer in Ecuadorian communities in Amazonia, Kurikatchi and in Esmeraldas. 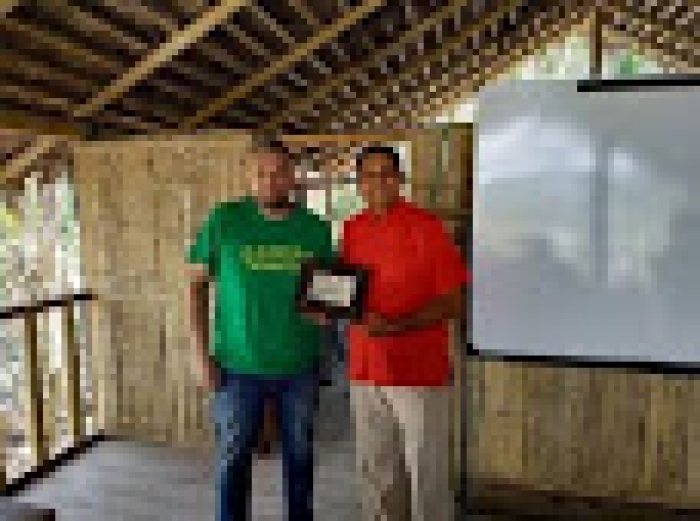 In early 2016, the River Esmeraldas had burst its banks, destroying many local homes and badly damaging the only medical centre in the area, leaving the entire community of more than 5,000 people without access to medical facilities. 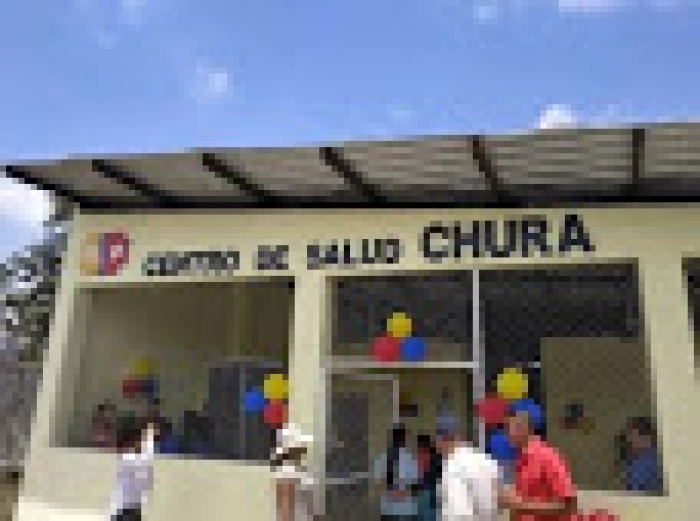 The government of Ecuador provided some labour and building materials, but much of the physical work to rebuild the medical centre was undertaken by volunteer groups organised by Camps International. Princethorpe’s pupils were in right at the start helping to dig the foundations. “It was tough manual labour, real back breaking work,” remembers Biology Teacher and Head of More House, Simon Robertson. 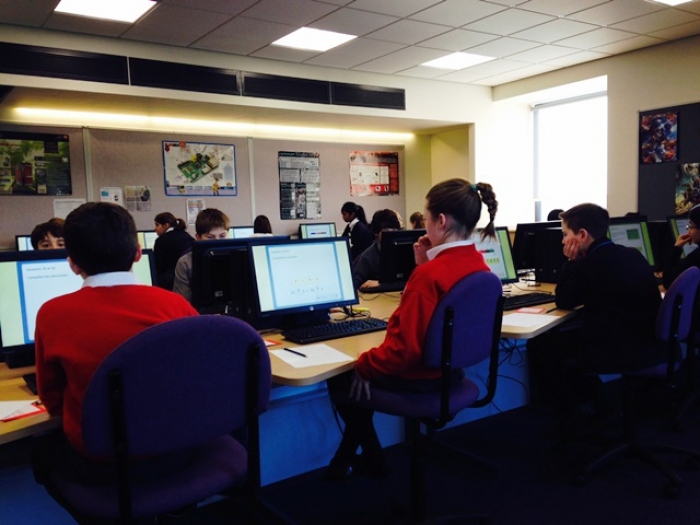 The College was delighted to hear the news too – a real example of our College ethos at work. 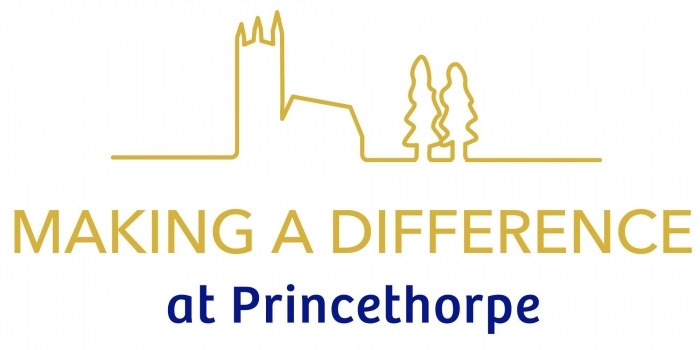 Princethorpe Development Office – You Are Making A Difference! 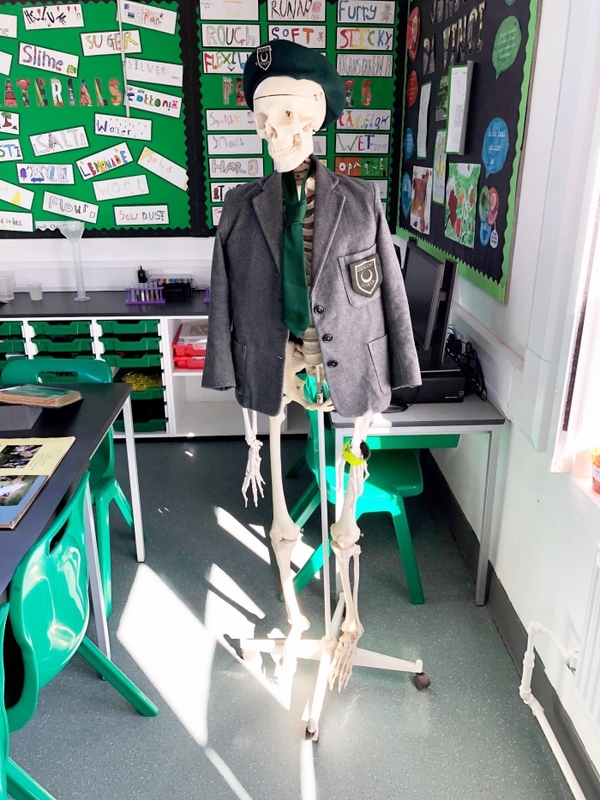 Just over two years after establishing the Development Office, we are pleased to report that through the generosity of our Princethorpe community, we have already been able to benefit less fortunate pupils, and begin to look to the future of our fabulous new Science building. The Development Office has received over one hundred individual donations, and at least a quarter of these are regular, monthly donations. Two children now attend the College who would otherwise have been unable to benefit from all that Princethorpe has to offer. We plan to continue the 50 + 10 Bursary Fund, through both regular giving and single gifts, but in addition, our efforts will soon be turning towards securing funding for our new science building. (See separate article). The Science Campaign will be Princethorpe College’s first large-scale capital campaign. We believe our pupils deserve Science facilities which offer cutting edge, state-of-the-art technology which will inspire future generations of Princethorpe scientists, engineers, researchers, chemists, marine biologists and doctors. Whilst the Foundation is committed to the build, we will be launching a fundraising programme in 2019, and all Princethorpians will have the opportunity to join our efforts, with some exciting, fun, and rewarding ways to get involved. The Development Office welcomes support of any kind, and if you would like to know more about how to support us in the meantime, please click here. Our new online giving platform, Virgin Money Giving, is a quick, easy way to donate, however we would also love to speak with you about ways in which you can support us. We would like to thank all those who have supported us both financially and otherwise. 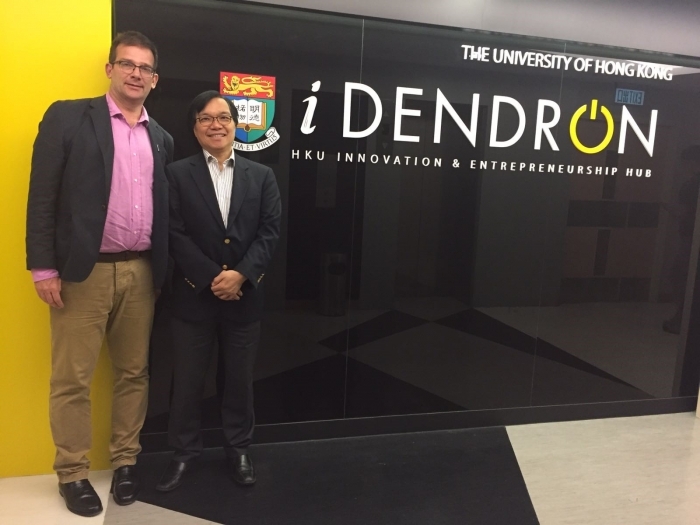 In other Hong Kong Development related news, we are delighted that Paul Cheung and his twin brother Peter, professors at Hong Kong University and Imperial College, London respectively, will be visiting the College on Saturday 10 November, to lead a special "3D Printing From Scratch Workshop and Engineering Session" with selected Year 11 pupils and Sixth Formers. The Year 11 pupils, guided by the Cheungs and supported by Princethorpe staff, will be taught how to build three 3D printers, a passion of Paul Cheung's, which will then be donated to the College to help with teaching and learning. Peter Cheung will also give a talk on Engineering at Imperial College to Sixth Form students during the afternoon. Comments Ed Hester, "It is immensely generous of Paul and Peter to take the time to return to Princethorpe and work with our pupils in this way, inspire them about engineering careers and to donate the printers to the school. We are looking forward to seeing them both and returning the hospitality we received in Hong Kong". The visit will be reported on in full in the next OP e-newsletter. 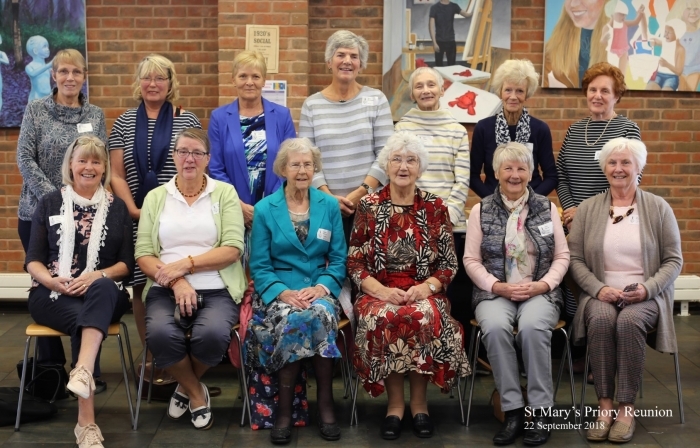 On Saturday 22 September we were delighted to welcome to the College some ‘old girls’ from St Mary’s Priory, known to us as ‘Very Special Old Princethorpians (VSOPs). The informal get-together, allowed for plenty of time to chat, reminisce and to look around the College and see how it has changed over the last sixty or seventy years. The day started with coffee and pastries, and a chance to catch up with friends and make new acquaintances. 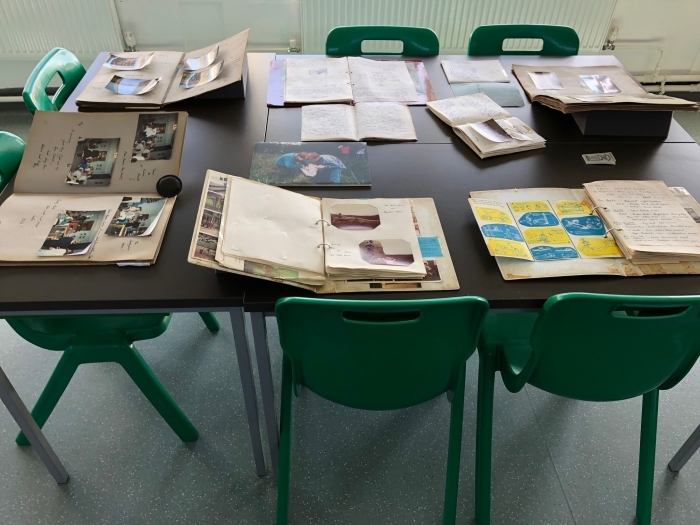 Our archivist, Janette Ratcliffe had set up a fascinating display of memorabilia, stretching over many decades, and our VSOPs took great delight in browsing through old exercise books, photographs and ‘Peeps’ school magazines. We were overwhelmed by the warmth shown towards the College, and it was lovely to spend time with our ‘old girls’, hearing memories of their school days here. For us, it was a further opportunity to cement friendships and to learn more about the history of the place which we all love so much. After a delicious buffet lunch and a short welcome from our Headmaster, Ed Hester, we were able to offer our guests the chance to see the new Princethorpe College film, see here, to hear about exciting new developments at the College, and watch the Making a Difference Bursary Fund video which can be found here. If you would like to know any more about the 'Making a Difference' campaign, please click this link to our website. Next, came a tour of the College taking in the original chapel, now a library, and ending in the church for a short service given by Father Teddy O’Brien, MSC. Following the service, our guests were treated to afternoon tea, and a final chance to look at the archives, speak with current members of staff and exchange farewells. Many ladies expressed the wish to see the photographs that we took and these can be found by clicking here. We look forward to welcoming back the St Mary’s Priory girls in 2020 and a date will be published shortly. Many Old Princethorpians are also old pupils of the Foundation's junior school, the Crescent School. This year the Crescent School is celebrating its 70th anniversary and on Saturday 29 September 2018 the school marked its platinum anniversary with a special double celebration. In the afternoon past and present pupils, parents, staff and governors came together to mark the milestone at a community event at the school in Bilton, Rugby. It was a very special occasion, enjoyed by everyone, that gave many the chance to reconnect and share fond memories. In the evening the school hosted a Platinum Anniversary Dinner Dance at Princethorpe College. It was a very convivial affair with some ninety guests associated with the Crescent treated to a delicious three-course meal, followed by speeches from past pupils from across the decades including combined OPs and OCs, Eddie Tolcher, Libby Williams and Laura Brazier, live music and dancing till midnight. It was a very successful day. There are further events planned for this anniversary year. They include an inaugural pub meet at the Merchant’s Inn in Rugby on Friday 23 November and a Carol Service on Monday 17 December in the Temple Speech Rooms at Rugby School, close to the Crescent’s first home at Horton Crescent. Anyone who has a connection to the Crescent School who would like to share their memories and be kept up to date with news from the school can complete and return the form here or contact oldcrescentians@crescentschool.co.uk. 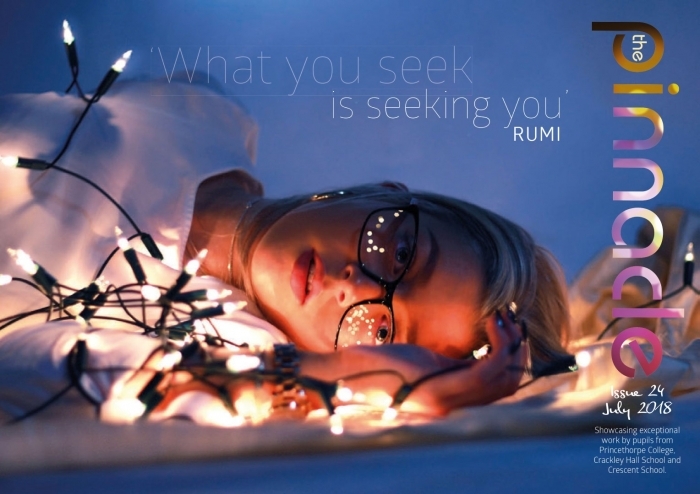 Issue 24 of The Pinnacle, our school magazine that celebrates exceptional work from across the Foundation, was published at the end of the Trinty term. Full to bursting with fabulous examples of pupils who are determined to go that extra mile in their everyday school life. The Pinnacle includes a double-sized Minnacle showcasing the impressive work produced by pupils at the Foundation Junior Schools’ Crackley Hall and Crescent. You can view the latest edition here The Pinnacle and The Minnacle. The Princethorpe Cemetery war memorial is benefitting from a grant of £3,750 from the Grants for War Memorials scheme supported by the First World War Memorials Programme and Historic England. 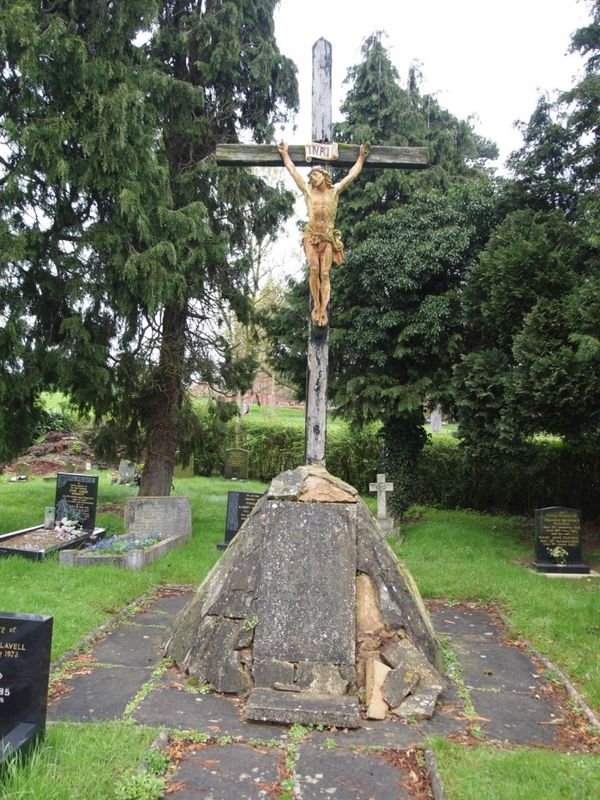 The grant will enable the war memorial to be deconstructed, allow the corpus and plaque to be cleaned and preserved, provide a new oak cross and cover the re-instating of the surrounding mound, which signifies Calvary. Work is already underway and will be completed by early November. Old Princethorpians and villagers within the parish who have any contact with Princethorpe Cemetery are invited to attend the re-dedication ceremony at 11.00am following the 10.00am Mass in Our Lady of the Angels’ Chapel, Princethorpe College on Remembrance Sunday, 11 November 2018. Click on the attachment below to download the latest ‘In the News’ posters featuring some of the Foundation's recent media coverage. 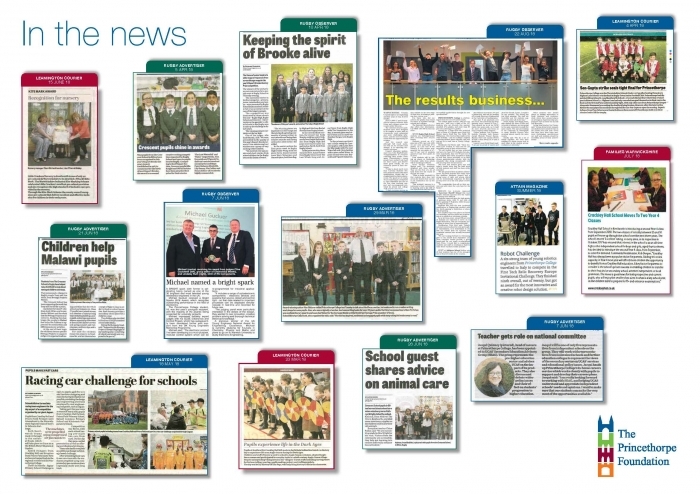 In the last few months we have had plenty of stories in the press including newspapers such as the Leamington Courier, Kenilworth News, Rugby Advertiser, Leamington Observer, Rugby and Lutterworth Observer and the Coventry and Warwickshire Telegraph. The Foundation has also been featured in Catholic Today and the Independent Schools’ magazine Attain. Our 2018-19 calendar of OP Events has been published. It includes details of OP and College Events that all Old Princethorpians, past parents and staff are welcome to attend. The next event is the Former Parents' Brunch which offers former Parents the chance to reconnect with the school. Then comes the OPs Prize Giving Drinks Reception this year at Dallas Burston Polo Club for Upper Sixth Leavers and their families. Then at the beginning of December we have the popular PTA Christmas Fayre and the chance to attend the College Christmas Eve Masses. We are keen to reconnect with as many OPs and Friends of the College as possible so do encourage those you know to register on the Old Princethorpians section of the website to keep in touch with and receive information on the latest news and events. 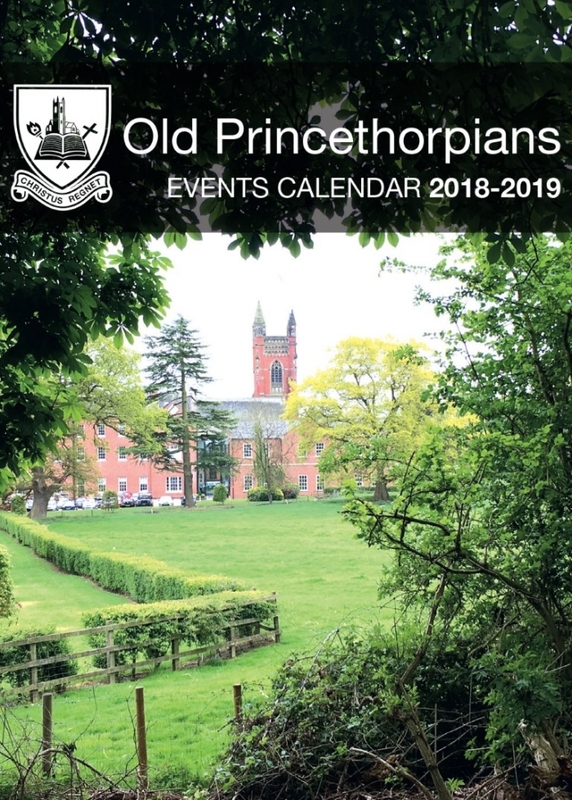 Click here to download the calendar or visit the Old Prinethorpians section of the College website. Following the success of our inaugural Former Parents’ Brunch in May, and back by popular demand, the Brunch is returning this autumn. The second brunch is set to take place on Saturday 13 October 2018 from 10.30am to 12.30pm in the College's Main Dining Room. In addition to catching up over a leisurely complimentary brunch (served until 12.00 noon), visitors will be able watch some Rugby against local rivals, King Henry VIII School and Girls Hockey against Bedford Modern, and take an optional tour of the school campus. 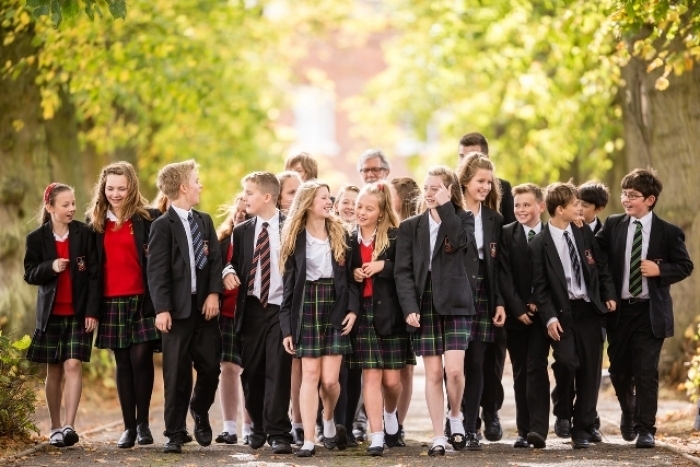 We are aware that a lot of former parents will have spent a considerable amount of time at Princethorpe over the years, supporting their children in many different ways and may be missing the involvement in school life. 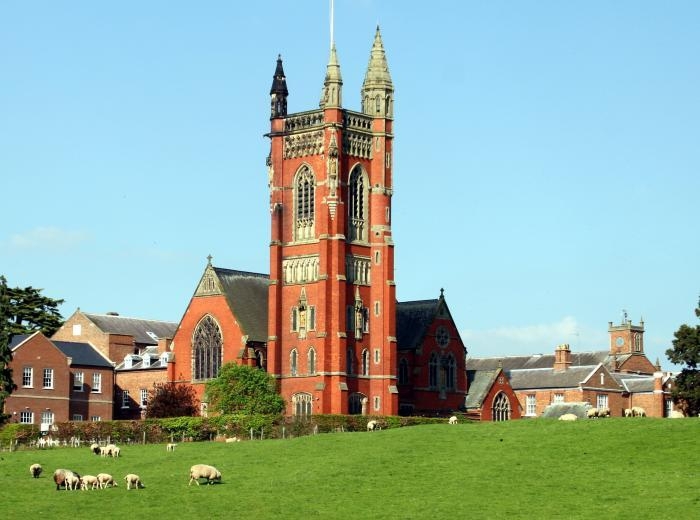 The Old Princethorpians' Association hope that this will be an opportunity for them to reconnect with both the College and each other in an informal, friendly environment. If you would like to attend please RSVP with the name of your child/children, the number in your party and any special dietary requirements to oldprincethorpians@princethorpe.co.uk or call Melanie Butler on 01926 634284 by Tuesday 9 October. Places are limited and will be allocated on a first come, first served basis. Please spread the word amongst former parents!! The next Former Parents’ event in the OPs calendar will be an Afternoon Tea on Saturday 6 April from 2.00pm to 4.30pm. Year 11 pupils and their parents are warmly invited to the Sixth Form Open Evening on Wednesday 11 October 2017 from 6.30pm to 9.00pm. The evening will focus on the key events and dates in the Sixth Form application process, specific A-level subject information and advice provided by the Heads of Departments and general information on the Sixth Form experience at Princethorpe. It will include brief talks from Ed Hester, Ben Collie, Head of Sixth Form, and some current members of the Sixth Form. These sessions will run twice during the evening at 7.00pm and 8.00pm in our newly refurbished Theatre. In addition, there will be short presentations in each of the departments during the evening. External candidates are very welcome at the event, so please do help spread the word. The College's Entrance Examinations take place in November. Those wishing to register their child for Entrance Examinations should now do so as soon as possible to facilitate the gathering of references from junior schools. Registration forms are available from the Registrar, Mrs Vanessa Rooney on 01926 634201 or email admissions@princethorpe.co.uk. Entrance Examinations for 11+, 12+, 13+ and 14+ will take place on Saturday 10 November 2018 from 9.00am to 3.00pm. More information is available on our website, click here. 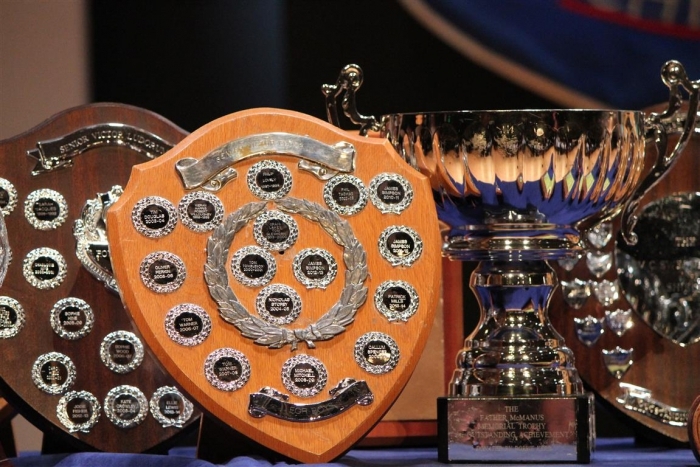 This year's Prize Giving will be held on Friday 16 November at Dallas Burston Polo Club, Southam, beginning at 7.30pm. Traditionally, the vast majority of last year’s Upper Sixth return to collect their A-level examination certificates. Most will have embarked on their first year at university, apprenticeship, employment or gap year and this is an opportunity for the class of 2018 to catch up. The OPs Committee hosts a special Drinks Reception before the ceremony for the Upper Sixth leavers, their parents and other invited guests. This is a very popular occasion and we have a limited number of seats available for any other OPs who would like to join us for the Pre-Drinks at 6.30pm and later for the ceremony itself. To secure your seat please RSVP with the number in your party, stating that you are an Old Princethorpian, to carmelhopkins@princethorpe.co.uk by Friday 2 November please. Crescent School, Princethorpe's junior school and nursery in Bilton, Rugby, is having a specific Reception Open Evening on Tuesday 20 November from 7.00pm to 8.00pm. 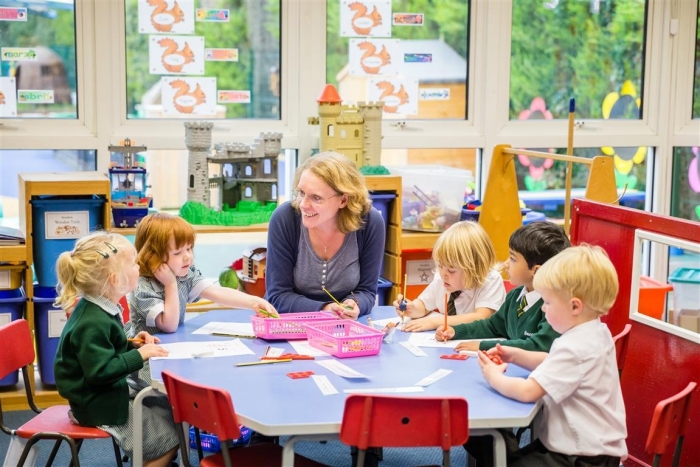 Parents are being encouraged to apply now for places in Reception in 2019. This is an opportunity to look around the Reception class and to meet and talk informally to staff. There will be a short presentation at the beginning of the evening and light refresments will be available. This is a great chance to look around the school during a normal working day and to chat to staff and pupils. Light refreshments will be available. If you can't make the Open Evening or Open Day but would like to look around, please call our Registrar, Mrs Helen Morley on 01788 523851 and come on a day to suit you, we welcome visitors on most days. For more information please see our Admissions Update. Crackley Hall, Princethorpe's junior school and nursery in Kenilworth, is having a specific Nursery and Reception Open Evening on Thursday 22 November from 7.00pm to 8.00pm. Parents are being encouraged to apply now for places in Reception in 2019. This is an opportunity to look around the Nursery and Reception class and to meet and talk informally to staff. There will be a short presentation at the beginning of the evening and light refresments will be available. This is a great chance to look around the school and nursery during a normal working day and to chat to staff and pupils. Light refreshments will be available. If you can't make the Open Evening or Open Day but would like to look around, please call our Admissions Secretary, Mrs Jenny Vaughan on 01926 514444 and come on a day to suit you, we welcome visitors on most days. For more information please see our latest Admissions Update. 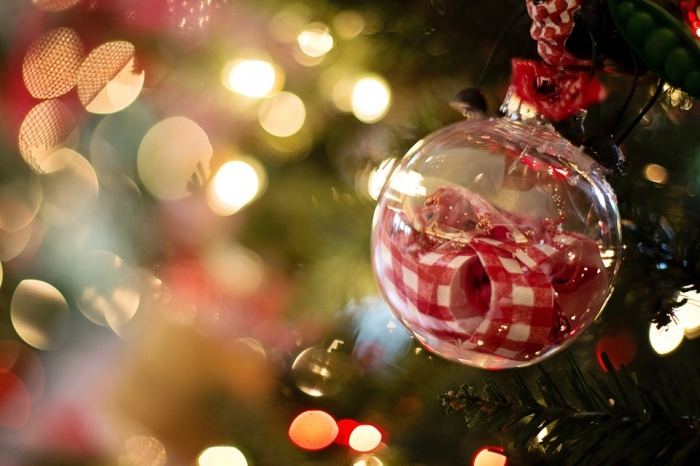 The College's annual PTA Christmas Fayre will take place on Sunday 3 December from 2.00pm to 4.30pm. As well as the 'must visit' Old Princethorpians stand, there will be an array of stalls full of present ideas, games and activities, festive music and refreshments plus, of course, Santa in his grotto! We can't promise snow but there will be lots of Christmas bargains. This is a lovely opportunity to visit the College at a weekend and all the family are very welcome to come along. 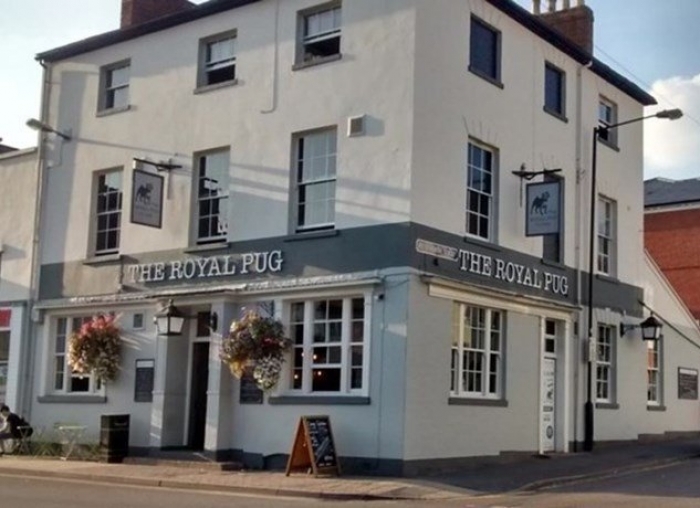 The OPs annual Leamington Pub Meet takes place next year at the Royal Pug pub on Regent Street. The OPs Commitee will be laying on a delicious hot and cold buffet, so do let us know by emailing oldprincethorpians@princethorpe.co.uk if you are able to attend so we can cater for you. Partners and friends are most welcome! The College's main Open Afternoon will take place on Sunday 24 March from 2.00pm - 5.00pm. All are welcome to visit the College and for our younger visitors there will be many fun subject related activities organised by the departments. The Headmaster will address visitors during the afternoon and refreshments will be available. The College's annual Summer Open Evening will take place on Wednesday 5 June from 6.30pm to 8.30pm. This is an informal opportunity to look around the school and to meet members of staff and pupils. There will be activities in each department for children to participate in, and the Headmaster will also address visitors in the Chapel during the evening. Please do spread the word amongst friends and family, all are very welcome! Light refreshments will be available. The golfers among you will no doubt still be euphoric after Europe reclaimed the Ryder Cup last weekend but you do need to contain your excitement because the College has its own thrilling golfing news. Monday 15 April 2019 sees the long awaited return of the Princethorpe Open. 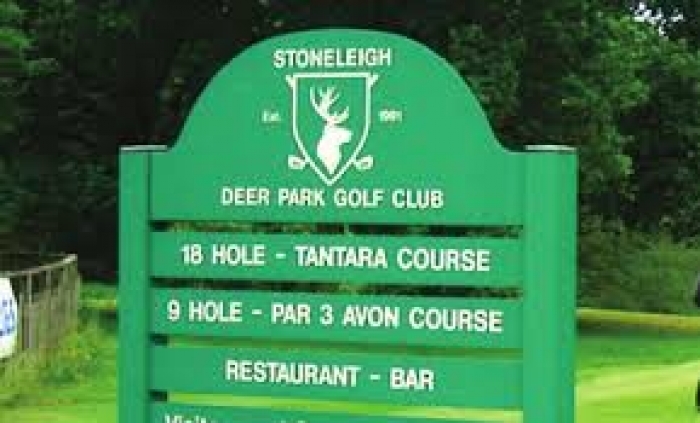 Old Princethorpians, parents and friends of the College are all invited to come and join us at the superb facilities of Stoneleigh Deer Park Golf Club where hosted by OP, Johnny Reay, you will enjoy some great golfing. The event will start at midday with a bacon roll, you will then enjoy a round of golf before finishing with pie and chips and a dessert. It will be teams of four, playing Stableford format. There are 80 places available, at £30 a head. Please contact Neil McCollin on neilmccollin@princethorpe.co.uk to register your interest. The Arts Society is still planning events for next year so dates will be confirmed in the Lent OP Newsletter. Bit of background, where you live, what you do for a living. I live in Sydney working as the sustainability manager for Glencore Coal which includes environment, health, safety, community and human rights aspects for mine sites in Australia, Colombia and South Africa. The job is fairly new but I’ve been enjoying the chance to work in the different countries. When were you at Princethorpe - years from and to? What was the school like in your day? The school was a fair bit smaller when I was there which suited me perfectly. I started there because of their dyslexic department and was one of the first group of girls to enter Year 7. We were all very well looked after (my first form teacher was Alex Darkes so I think that goes without saying) and the school had a great knack for tailoring its approach to the student. How did Princethorpe affect the person you are today? The school played a big part in building my confidence. Having struggled at my first junior school the extra help available at Princethorpe made a massive difference to me. I would tell myself that life is still a lot of fun (if not more) once you finish school and uni and that there are some amazing opportunities out there if you’re prepared to move out of your comfort zone. Basically what my mum was telling me at the time! Who or what has been the greatest influence on your life? I’m lucky that I can answer ‘my parents’ to this as they set me up to have as many opportunities as possible. Any irregular noise, I’m a bit of a precious sleeper…. What has been your proudest moment/greatest achievement so far? I was working at Pike River Coal Mine in New Zealand when it blew up and, despite it being a horrible experience for us, I’m proud of the part that I played working in the emergency response effort. Taking time to do absolutely nothing except maybe sit on the beach, read and nap. If you had to have one last meal, what would it be? Probably a chip butty with some proper British chips with cheese and tomato sauce. The chips aren’t quite the same over here. What is your favourite TV Show and why? I have the occasional Netflix binge but nothing that I’m really hooked on. If you could be anywhere right now, where would it be and who would be with you? Skiing with a big group of friends and family. There are a lot of people that I miss spending time with having moved so far away so I am always happy to get them all together. There are a few to choose from, the highlights would be ski trips, house parties and summer break times spend out on the grass. My very first Princethorpe memory though, is when I took my entrance exam. I had to take it earlier than everyone else for some reason so was on my own in an office with Bertie the dog to supervise me and some chocolate kindly donated by Mrs O’Keeffe, not a bad start. Are you in touch with any other Old Princethorpians, if so whom? A few but probably see the most of Fliss King-Evans, Jethro Towers and Melissa Franklin when I get back to the UK as well as Angela Hales and Paul Shaw who both worked with my mum there. Otherwise, I see a lot of people’s news come up on Facebook which is always nice. Is there anyone you would like to track down? No one specifically but I like hearing what old class mates and teachers are doing now. There were a lot of people that I lost touch with after our GCSEs. OP Jo Fowler (nee Lee) shares news of her latest family addition. Charlie Joseph Fowler was born on 21 May weighing 8lb10oz. He is loved very much and adored by his doting big brother Isaac who refers to him as “my Charlie”. I have been married to Andy for 8 years and we live in Northamptonshire. Although currently on maternity leave I am a chartered accountant and work for Snap-on Tools in Kettering. Congratulations, Jo, Andy and Isaac! Huge congratulations to sisters, Ruth Magill and Beckie Andrews, both nee Dyke, on the birth of their baby daughters earlier in the summer. Ruth's first child, Marnie Florence Mara Magill, pictured left, was born on 18th May at 4.52am weighing 7lbs exactly. Ruth is currently on maternity leave from her role as Ambient & Hampers Food Buyer at Daylesford Organic Farm. Congratulations to Ruth and her husband Simon. Beckie's second child, Ottilie Elizabeth Andrews, pictured right, was born just over a month later on 20th June, weighing in at 7lb 11oz. Congratulations to Beckie and her husband John, and to their son, Luca, who is enjoying being a big brother! 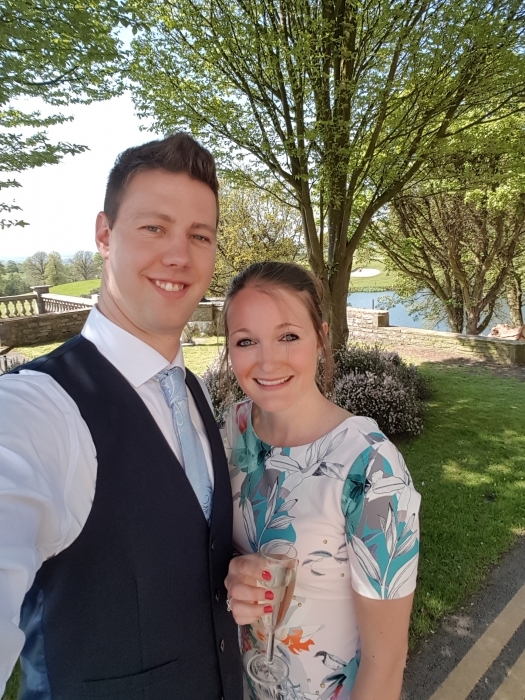 We’re delighted to share news that OP Will Lyne (who left Princethorpe in 2004) and his fiancée Grace Grineaux welcomed a baby boy over the summer. Theo Henry Lyne was born on 15 August 2018 weighing 7lbs 6.5oz. Will has run his own company with his business partner for over 10 years. Total Installations Warwickshire Ltd offers a range of services, to include plumbing and heating, refurbishment and kitchen and bathroom installations. Theo was born amongst a very busy year for Will as him and his partner Grace get married on 1 December 2018 and hope to move into their barn conversion in February 2019, which Will has been busy project managing. Many congratulations to you both and we look forward to hearing about your upcoming wedding celebrations! In June, OP Dave Roberts plucked up the courage to ask his now fiancée Heather to marry him. He tells us more! Since leaving Princethorpe after year 11 in 2003 I attended Warwickshire College gaining a ND in 3D Design. I then attended Birmingham City University’s School of Jewellery where I graduated with a HND in Jewellery and Silversmithing. I have worked in the jewellery industry for the last 11 years and am now a manufacturing manager at one of the UK’s largest diamond jewellery wholesalers. The highlight of my career to date was being named as one of the “30 Under 30” by the industries leading magazines. This means that I was one of the top 30 individuals under the age of 30 that works in the UK jewellery industry. I met my Fiancée Heather in the trade, she began working at my company 3 years ago and within 6 months we were official. We met years ago but never ended up getting together as I was too scared to call her! It wasn’t until she started working with me that we hit it off. I used to find excuses to work in the room that she was working in so I could talk to her as much as I could. We haven’t started planning the big day yet as we are due to move into our first house together this week and therefore any savings we had have been swallowed by our mortgage. Congratulations Dave and Heather and good luck with the house move! 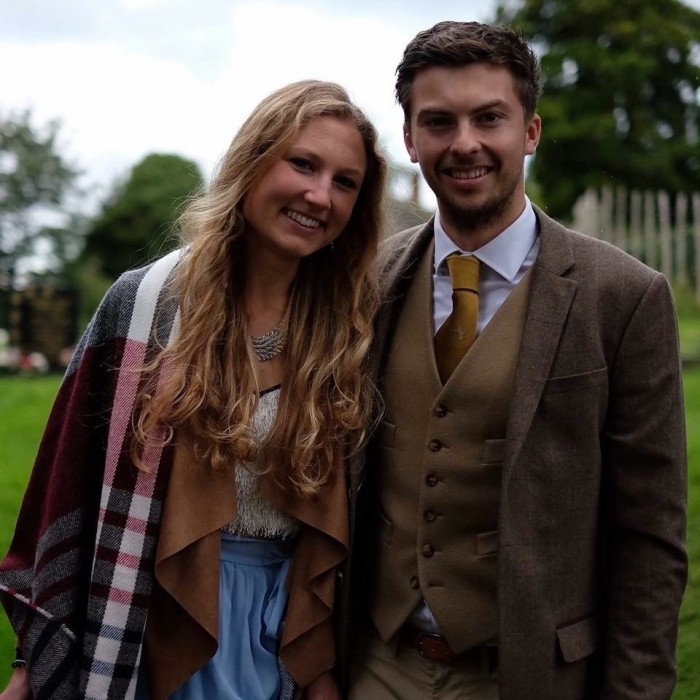 Old Princethorpian Charlotte Pickin and her Fiancé Ollie Jenkins got engaged in July, she tells us more below. I left Princethorpe in 2010 and went straight to the University of Southampton to study Law. I was in the same uni halls as Ollie and we met at a Freshers' Week foam party. We were good friends throughout our 3 years at uni but we didn’t actually become an item until after we graduated. Ollie relocated from Kent and now works for a tech recruitment company in Northamptonshire. I trained with a law firm in Rugby and qualified as a Solicitor in August 2017. After 5 years together Ollie finally popped the question when we were on a mini-break in the Lake District. We are getting married in Ladbroke Church (the village where I grew up) on Saturday 1 June 2019 as this will be our 6 year anniversary. Less than 8 months to go now, not that I’m counting!! Fabulous - what a way to celebrate your anniversary! Congratulations Charlotte and Ollie. News of a Princethorpe Fairytale reached the Old Princethorpians earlier in the summer. 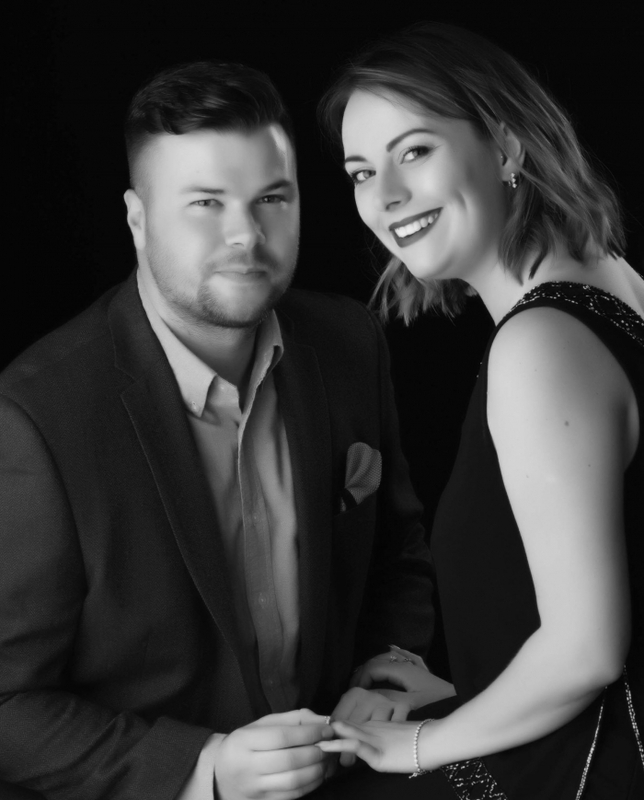 OPs Sophie Watts and Chris Maffey got engaged on 4 July 2018 and Sophie tells us more. We have known each other since we were 14 as we met on the Eiffel Tower on our Year 9 French home stay trip. We have then been best friends ever since, so much so that Chris proposed to me on a speed boat in Majorca this July - my very own James Bond!! After leaving Princethorpe in 2011, Chris Maffey (my now Fiancé!) did a gap year in Australia and New Zealand, where he managed to get a job working on the Hobbit film set and developed his love for wood working. Chris then started his career off by running his own company ‘CM Carpentree’, as a Bespoke Furniture Maker making commission pieces for numerous clients. Chris now works for a creative retail company ‘Tony G LTD’, and works all over Europe as a specialist installer and carpenter. And after graduating with a first class honors in BSc Veterinary Physiotherapy, I am currently setting up my own Veterinary Physiotherapy business (Sophie Watts Veterinary Physiotherapy - website to follow very soon so please keep an eye out!). We are getting married Autumn 2019 in my home village Barford, and we cannot wait to celebrate with everybody - the majority of our bridesmaids, ushers and guests are actually fellow OPs thinking about it!! So yes, a true OP Fairytale!! Wonderful! Thank you for sharing this Sophie and we hope to include news of your wedding in another OP newsletter. OP Sophie Taylor (née Hine) who left Princethorpe in 2006 got married to Phil on 1 June 2018 and she takes up her story below. Phil and I met at Loughborough University whilst both being part of the athletics team. I did high jump and Phil was a 400-metre runner. 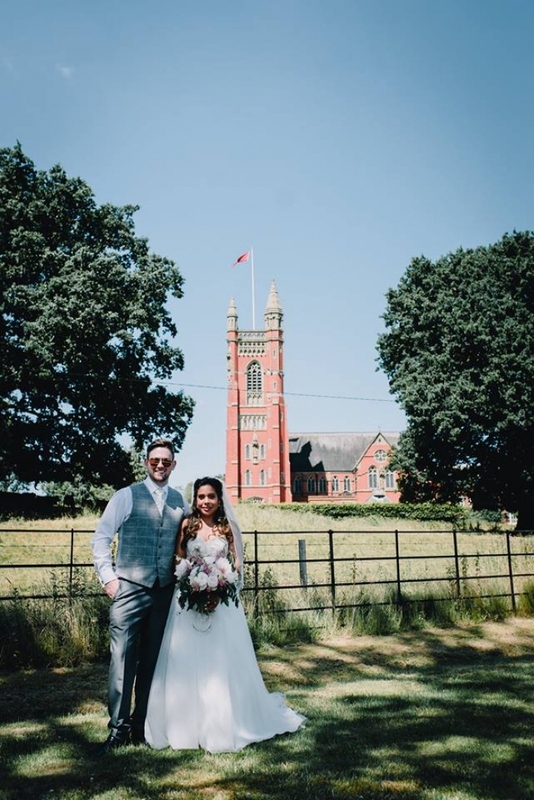 I got into athletics because of Miss Abery (Mrs McCullough) introducing me to it at school, so in a sense, I have Miss Abery to thank for me meeting my husband! We both have our own businesses. Mine is an investment management company based in Henley-in-Arden. My husband’s business is a summer school company that hires out private boarding schools in the summer holidays and runs English language and multi activity programmes for international students. We got married in Lucca, Tuscany in June this year. It was the most fabulous day in stunning settings, with lovely weather, amazing food and a fun filled day with friends and family. The picture of me and my bridesmaids includes Sophie Lewis (nee Roberts), Lauren Young (nee Wightman) and Jenny Shortt. We all attended Princethorpe from Year 7 through to Sixth Form and we are still best friends to this day. Also in the picture is my sister, Charlotte Boswell (née Hine) who also went to Princethorpe and finished Sixth Form in 2001. Charlotte went on to marry James Boswell, who also attended Princethorpe. In the group picture is all of my Princethorpe friends who attended our wedding. 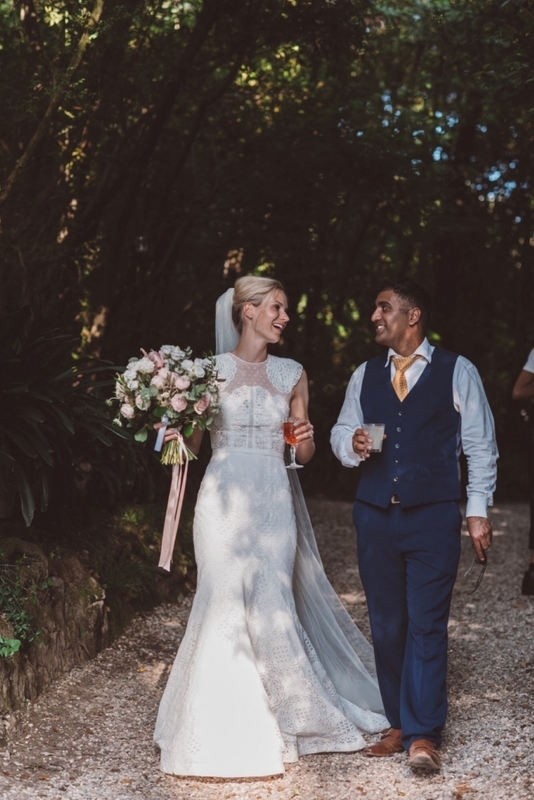 They are; Sophie Lewis (née Roberts, she married Mark Lewis in 2015 and they met at school), Mark Lewis, Lauren Young (née Wightman, she married Alex young in 2015, and they also met at school), Alex Young, Jenny Shortt, Amar Farmah, Will Lyne, Sam Brown, Rod Spollen and Ed Hunter. I’ve also attached a photo of my nephew, Harry, and Lauren Young’s daughter, Ava, playing hide and seek. Both sets of their parents attended Princethorpe, Charlotte Boswell and James Boswell are Harry’s parents and Lauren Young and Alex Young are Ava’s parents. 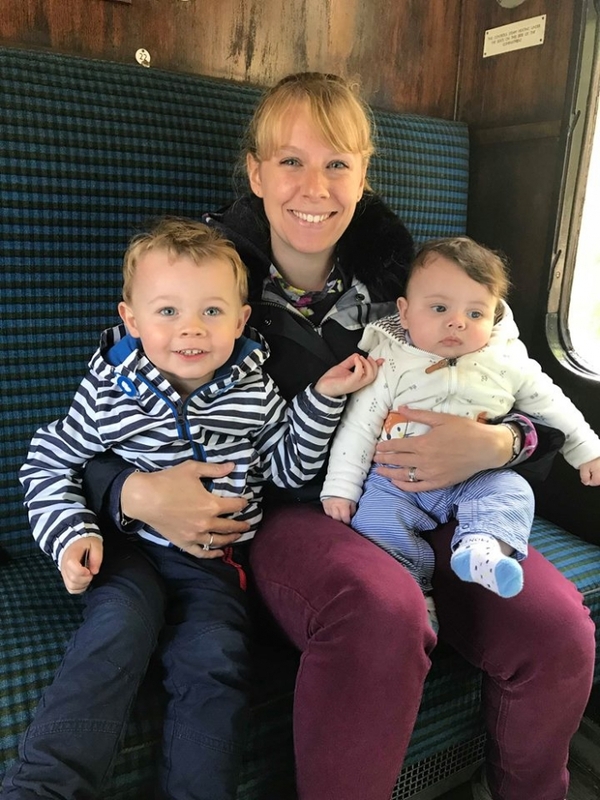 There is also a picture of my cousin, Victoria Shimwell, who also went to Princethorpe and she is with my Nephew, Harry, on a bench who is a Princethorpe baby. 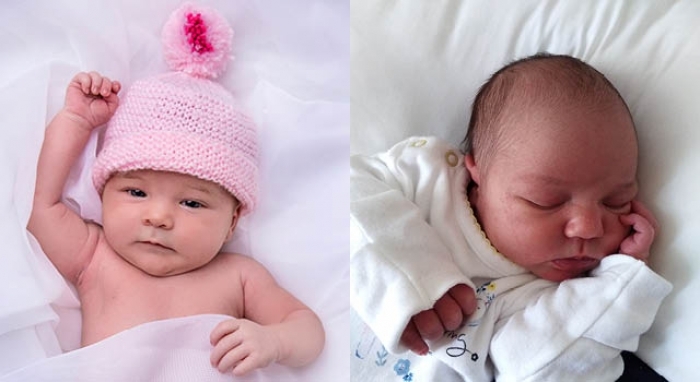 The picture of the baby is Sophie and Mark Lewis’s baby, who again is a Princethorpe baby. And finally, attached is a photo of me and my parents. Whilst at school and playing any sport under the sun, my Mum could be found in her bright yellow coat cheering from the side-lines! What a fantastic update and so lovely to hear of so many Princethorpe connections still going strong so many years on. Congratulations Sophie and Phil! As we both attended Princethorpe College as students, we thought that having our wedding ceremony at Our Lady of the Angels would be a fitting tribute to the time where our paths first crossed over 10 years ago. We married at the end of June on one of the hottest days of the year, the sun was shining and there was not a cloud in the sky. 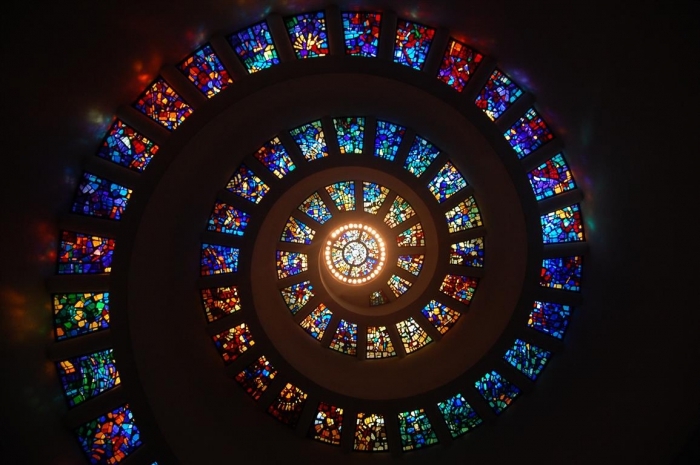 The chapel looked amazing with all the stained glass ablaze with colour and it was lovely to see all of our friends and family there to celebrate with us, sitting in the same pews where we sat all those years ago. After the ceremony we headed over to Dodford Manor to continue the celebrations into the early hours. The whole day flew by for us but we loved every second of it. We are currently living in Warwickshire, in a dormer bungalow which we have just renovated and extended. Pippa created the designs for the work as she is in the final stages of becoming a Chartered Architect and after leaving Princethorpe College Peter went on to gain a Masters Degree in Design at Coventry University and is now the director of a design consultancy working in partnership with Jaguar Landrover. 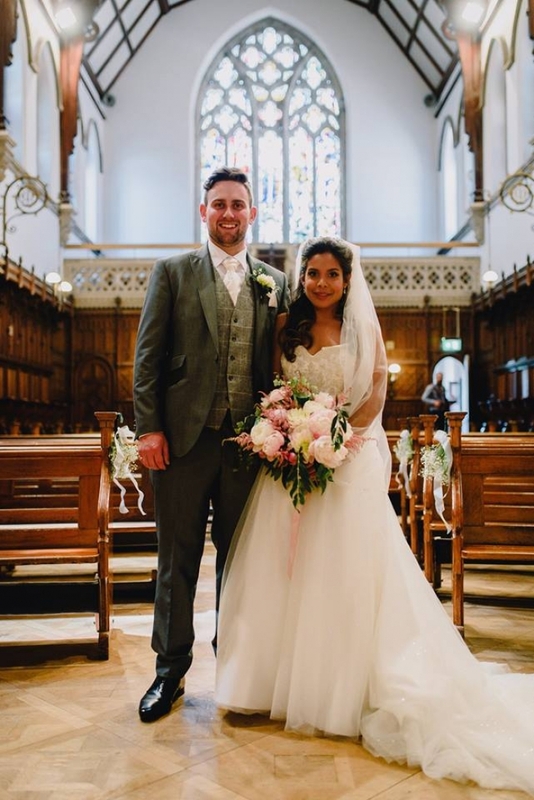 Many congratulations to you both – we love that Princethorpe is helping match-make happy couples! We were delighted to hear the recent news of OP Pollyanna Poulter’s marriage. Polly married Steve Westwood in a civil ceremony at the Asylum Chapel in Peckham, London, followed by a party in the pub at East Dulwich Tavern, London, on 14 September 2018. OP Polly is a Senior Editor at Octopus Publishing in London. From her office on the Thames she works with a large team of creatives on illustrated titles of a variety of subjects, including high-end cookery (most recently The Ritz London Cookbook), photography, fashion, music, and popular science to name but a few. Steve is a Software Developer for a finance company in the hipster area of The City of London (although he is not a hipster!). They met almost three years ago when they both swiped right on a popular dating app. Steve proposed halfway through The Muppet Christmas Carol on Christmas Eve 2017. Their wedding was attended by their closest family and friends, including a number of other OPs. They live in a flat in Sydenham, southeast London. Many congratulations to you both. 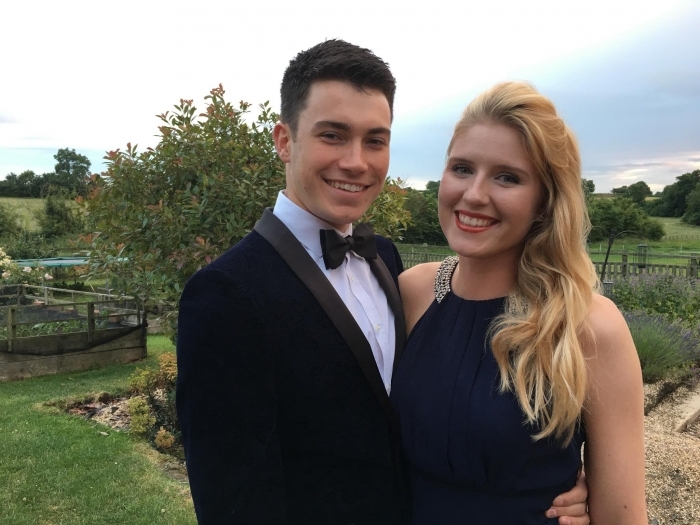 21-year old OP Ben Tompkins got engaged earlier in the summer, he takes up his story below. My fiancée is Elinor (El) Thomas. She is currently working as a dental nurse in Lillington after qualifying in March of this year. I am currently working as a carpenter for Tompkins Construction. I completed my three-year apprenticeship, this year, through Warwickshire College whilst working for Tompkins Construction. In the summer my fiancée and I went on a trip for five weeks around Europe, countries included: France (Paris), Switzerland (Lausanne), Italy (Milan, Bologna, Rome, Florence) Croatia (Dubrovnik) and Greece (Zakynthos). El proposed to me whilst we were in Milan. It was about 2.00am and she woke me with a long note, luckily, it was the best note I've ever read, otherwise I wouldn't have been very happy about being woken up at that time! We first met whilst on a night out in Rugby through mutual friends, no real romantic story there and we haven't got any specific plans for the big day yet. We are planning for it to take place in about 2 1/2 - 3 years’ time. Many congratulations Ben and El from all at Princethorpe! 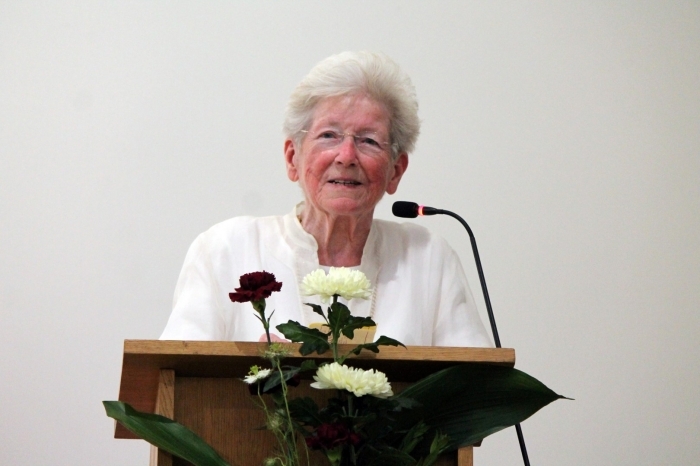 It is with immense sadness that we share the news that Mary O’Farrell, the Foundation’s former Chair of Trustees, passed away after a short illness on Sunday 2 September 2018. Mary joined the Foundation’s Governing Body in 2000 and held the role of Chair of Trustees for eight years until 2016, continuing to serve as trustee to the present day. A former primary Headteacher with many years’ experience, Mary played an integral part in the Foundation's growing success, overseeing the merger with Abbotsford in 2010 and with the Crescent in 2016. Comments Ed Hester, Senior Head of the Foundation "Mary was a remarkable woman in so many ways and with her passing the Foundation has lost a true and valued friend. She was an exceptional Chair of Trustees, known for her wise counsel, collaborative approach and sense of humour, all of which she brought to bear in her role. She had an implicit understanding of education, teaching and learning and this combined with her unique personal touch with fellow trustees, staff and children has had an immeasurable impact on the Foundation over the years. 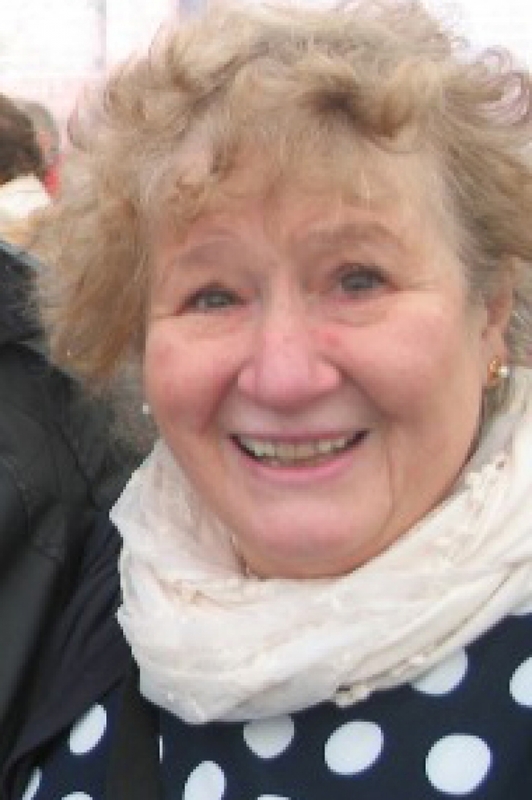 It is with great sadness that we share the news of the passing of Marlene Head. Marlene was a very dear friend of St Joseph's Convent and Crackley Hall School for over 30 years. Having taught for 10 years elsewhere in the County, Marlene then moved to Crackley Hall where she was a passionate and dedicated educator. Even in her retirement, Marlene continued her contact with Crackley Hall by providing support for lessons and attending events whenever her commitments permitted. Marlene was involved in a serious road traffic accident on Thursday 27 September and tragically passed away later that day from the injuries she sustained. 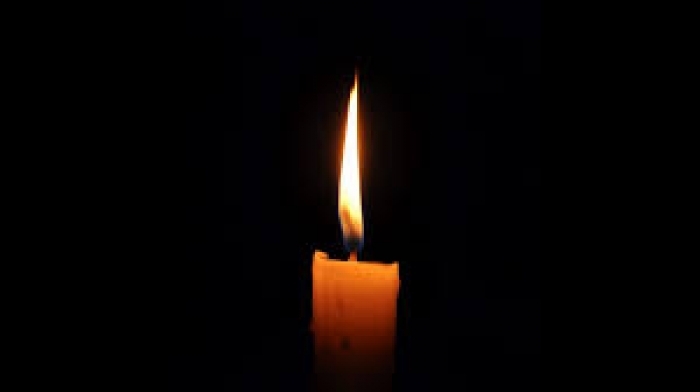 Our thoughts and prayers are now with her family; her husband Tom, daughter Sarah, son Murray and his family. Following her death, Marlene's family released this statement: "Over some 40 years' teaching in Warwickshire, from the early 1970s at Kineton High School, then both St Joseph's Convent and Crackley Hall School in Kenilworth, Marlene touched the lives of innumerable children and families. Everybody remembers Mrs Head with admiration, respect and affection. In her all too brief retirement, Marlene pursued a variety of interests with U3A and Village Voices choir. She leaves behind her husband Tom, daughter Sarah, son Murray and grandson Wilfred. Marlene’s funeral service will be held at the Sun Rising Natural Burial Ground, situated just off the A422 adjacent to Tysoe village on Thursday 11th October at 2.30pm. Her family would be happy to welcome anyone who wishes to join them afterwards at the Castle Inn in Edgehill around 2 miles away from 4pm where light refreshments will be provided. They have asked for family flowers only please (due to strict limitations to what may be left at the reserve) but donations would be welcome in Marlene’s name to the Salvation Army and/or the Warwickshire and Northamptonshire Air Ambulance Service care of R. Locke & Son Funeral Directors. Crackley Hall will arrange a suitable occasion to pay their respects, remember Marlene and all that she meant to the school in the future. She was a much-loved colleague, friend and teacher. In early August we were saddened to receive the news of the sudden passing of Old Princethorpian, James Downes. James attended the College from 1992 to 1997. James's funeral took place on Friday 24 August 2018 at Princethorpe College Chapel. It was a beautiful service attended by a huge number of his family and friends, and was followed by the wake at Broadstreet RFC to celebrate James's life. Broad Street Rugby Club also held a testimonial match on Saturday 8 September at 3.00pm in memory of James. Our sincere condolences and prayers go out to all of James’ family and friends. The College was sad to hear that, Old Princethorpian, Jim McGarvey passed away in early August. Jim left Princethorpe College in 1981. Jim's funeral took place on Thursday 16 August at St Joseph's Catholic Church, Whitnash. Our sincere condolences and prayers go out to all of Jim's family and friends. Our archivist Janette Ratcliffe sums up a month in the Archives, "It has been busy but brilliant! 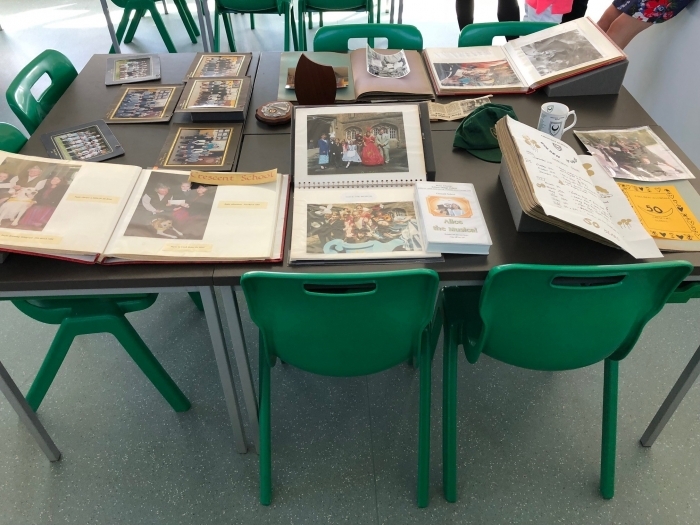 I have had the opportunity to showcase the Foundation’s history at four different events, and it has been a real pleasure to learn new things by talking to past pupils and staff about their time at the different schools." Kicking off the programme was Heritage Open Day which was held on Sunday 9 September. Building on the success of last year, over 100 visitors came for a tour of the College and an insight into the fascinating history of the Benedictine nuns that founded it. Alex Darkes and Janette Ratcliffe squeezed in four tours within two hours and, just like last year, it was great to see such a mix of people attending, from OPs to new parents to people who regularly drive past and had always wanted to know more about the tower that they can see from the A423. Among the fascinating facts that were shared on the day were: that parts of Nuns Wood were once swapped for a taxi in an attempt to impress a girl by taking them on holiday, that the layout of the brickwork on the Priory was unusual as that particular style had been abandoned well before the 1830s for being too expensive (the ability to make the bricks on site might have been the reason that cost was ignored?) and that St. Marie’s Church in Rugby (which was also designed by a member of the Pugin family) has the same carved Stations of the Cross that the College has on the walls of the cloisters. Then Saturday 22 September saw the return of some of the Very Special Old Princethorpians to Princethorpe College. The archive display was a real focal point during the day and there was lots of reminiscing going on when a memory was sparked by the photographs or magazines. 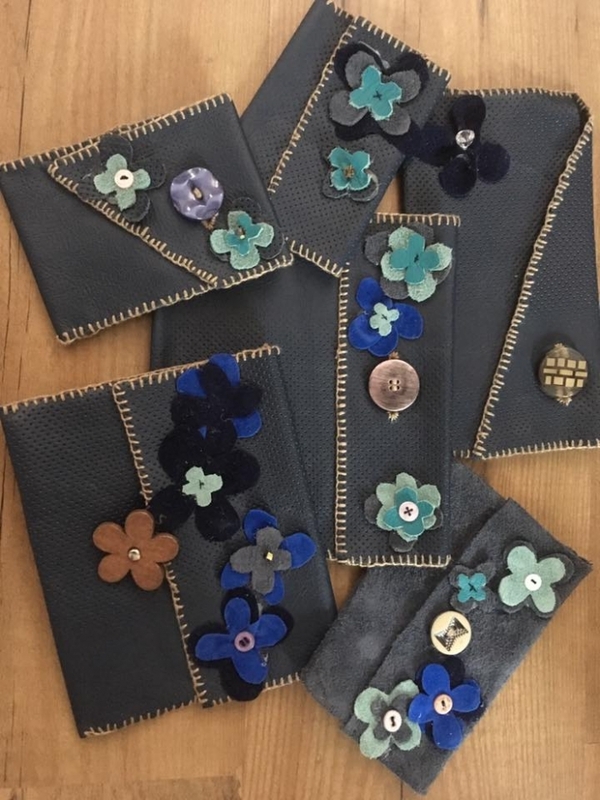 During the course of the day, Janette was able to interview three Old Girls in detail about their time at the school and also had six donations of material including postcards, photographs, exercise books and newspaper articles, which was fabulous. What was clear from the day was that the bond between the Old Girls and the memories they had of the school were as strong today as they were over 50 years ago when the school closed. The Open Morning on Thursday 27 September was a chance to showcase the history of the Priory and how things have changed over the years. 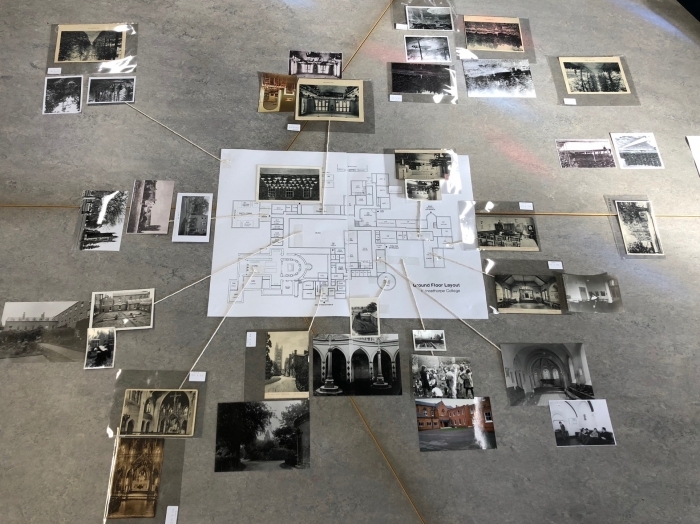 Having printed a plan of the different floors of the school, Janette delved into the archives to find a variety of photographs showing what the building would have looked like in the past. Seeing images of the Library when it was full height as the original chapel and the Round House, the original site of the nun’s cemetery, certainly grabbed people’s attention! 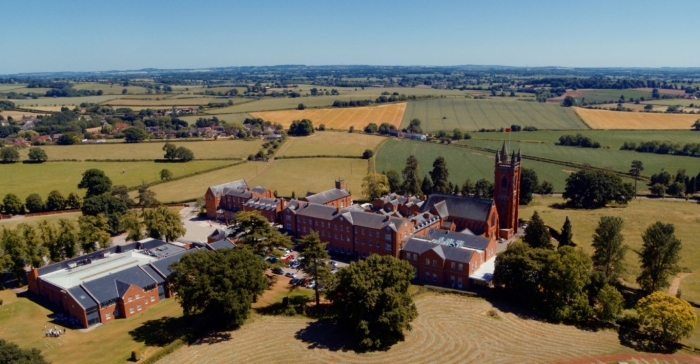 The images of the grounds without the Sixth Form Centre and the Limes also helped demonstrate just how much Princethorpe College has evolved in recent years. One OP remembers having to sit exams in what is now the library but he didn’t seem ‘too’ traumatised to be back. The final event of the month was the Crescent School 70th Anniversary on Saturday 29 September. Whilst the archives only hold a fairly small collection from Crescent School, what they do hold certainly got people talking. Having a number of trip diaries from the Derbyshire Residential was a real hit with old pupils gathering together over them and sharing their memories (good and not-so-good) about the hikes, trips and antics in the evenings back at the Youth Hostel. Cherry Bradley who taught at Crescent for 30 years, and who had made the trip up from Devon to attend the event, was a real pleasure to talk to. She shared information about both the original school at Horton Crescent and the move to Bawnmore Road and the school is looking forward to following it up with a more in-depth conversation in the near future. She brought with her a variety of photographs which will be scanned and added to the Crescent School collection! A special thanks also goes to Sally Dowling, who has been fantastic at talking to past pupils and also raiding her mother’s house to collect more items for the archive. Janette continued, "If this month has shown anything, it is how special our Archive is here at the Princethorpe Foundation and for it to continue to grow, we are reliant upon donations. If you would like to give anything to the Archive, please get in touch. We are very happy to receive scans of items if you do not want to part with the originals. We do not just collect magazines and calendars, but also take clothing and other objects associated with the school. We are looking for your memories too and always welcome old stories!" 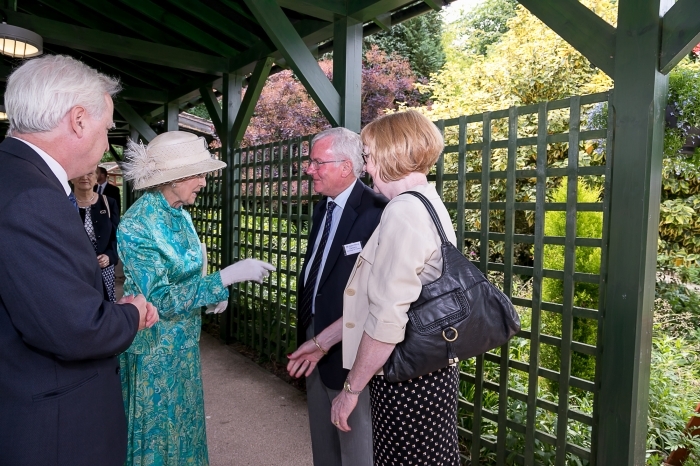 OP Jean-Pierre Parsons, Vice Chairman and long-standing Trustee of Staffordshire-based Katharine House Hospice, rubbed shoulders with royalty in the summer when Princess Alexandra visited the charity to celebrate their 25th Anniversary of providing day care services,. "The Hospice offers its services to patients free of charge and we raise our income, through a grant from the NHS which covers around a quarter of our operating costs, by operating a chain of shops in the mid Staffordshire area, from donations and legacies and by holding fundraising events. "We have hundreds of volunteers who give their time freely to help in any way they can. Our funds enable us to employ professional medical, nursing and other therapy staff who provide services to patients not only in the in-patient unit at the Hospice but also in the community." He continues, "Princess Alexandra visited us on 13th June to celebrate our providing 25 years of Day Care services. She really was wonderful and spoke to everyone, patients, staff, volunteers and our supporters. I hope you will note that my Old Princethorpian tie was worn with pride. "I am currently Vice Chairman and have been a Trustee for approaching nine years so my tenure will soon be up. The role is voluntary and it has been a real privilege." Super huge congratulations to Maja Naumczyk who graduated from the University of Leeds this July with a first class degree in BSc Physics. Maja studied at Princethorpe College from 2011 to 2015. We were delighted to hear about her success and wish her the very best for her future career. 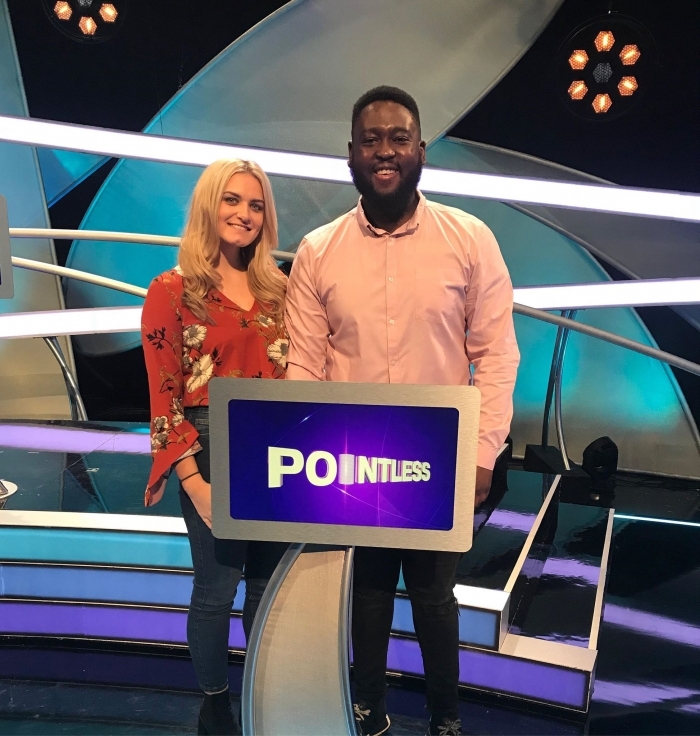 OP, Hannah Gallager recently took part in the hit TV show Pointless, the quiz where contestants try to score as few points as possible by attempting to find correct but obscure answers to general knowledge questions. She told us, "When my friend tweeted about wanting to go on a game show I replied never thinking we would actually make it on the show." But she did more than make it, Hannah and her fellow contestant, her good friend Mayo, sailed through the first and second rounds and into the Head to Head. There she stumbled over a geography question so they didn't make it through to the final. She continued, "It was a great experience getting to see how the show's done meeting Alex and Richard and the team, although I’m not sure my family is ever going to let me forget my knowledge of Australia, or lack of! The show aired on 20 September 2018 and if you would like to watch Hannah in action please follow the link to BBC iplayer, althoguh you will have to be quick, as it is now only available for 15 days! In August I started on the Barclays Corporate Banking Graduate Programme in Birmingham. I had three weeks of training in London with Barclays graduates from across the world, doing things like technical training, excel training, citizenship and even the military assault course at Sandhurst! I’m on a two year programme, during which I get to rotate around different parts of the Corporate Bank here in the Midlands. My first rotation is as a Relationship Support Manager in the Large Corporate team, dealing with some of the biggest clients we have at Barclays in the Midlands region. On a daily basis I have to keep in touch with clients to make sure their banking needs are satisfied and deal with any queries or problems. I’ve also had the opportunity to take part in some citizenship events, including the Barclays ‘Connect with Work’ programme, working with underprivileged individuals to help prepare them for job interviews. I’m only a couple of months in to the graduate programme but I am really enjoying it so far and looking forward to the next two years! Two Old Princethorpians, Tricia Bach and John Seymour are back working for The Foundation. Tricia, whose maiden name was Patricia Whelan, attended the College’s Sixth Form from 1985-1987. She went on to study Music at Bath Spa University and then completed her PGCE at Leeds. She lived and worked abroad for many years, teaching music, spending 13 years in south west France and time in the States and Italy. On her return to the UK, by chance when singing, she met Sue Francis and Felicity Coulson and it wasn’t long before they persuaded her to join the College’s peripatetic team. John Seymour was a pupil at the College from 1991-1992. He was here when the Foundation celebrated its silver jubilee and remembers being taught Maths by Mr Darkes, Biology by Mr Philpott and enjoying Rugby with Mr Price. After 17 years working in IT at most of the schools in and around Rugby, John has returned to the Foundation as a Senior IT Infrastructure Engineer. John’s sister, Halina was also a weekly boarding student at the College and John was most surprised to find out that his office was one of Halina’s old dormitory rooms. Now a technical hub of the school, photos have been shared with her to show just how much Princethorpe College has evolved. OP, Rob Redwood has been playing Jake Grundy in Radio 4’s long running soap opera, The Archers. Rob left Princethorpe College in 2017 and is currently studying Performing Arts at Stratford Upon Avon College. 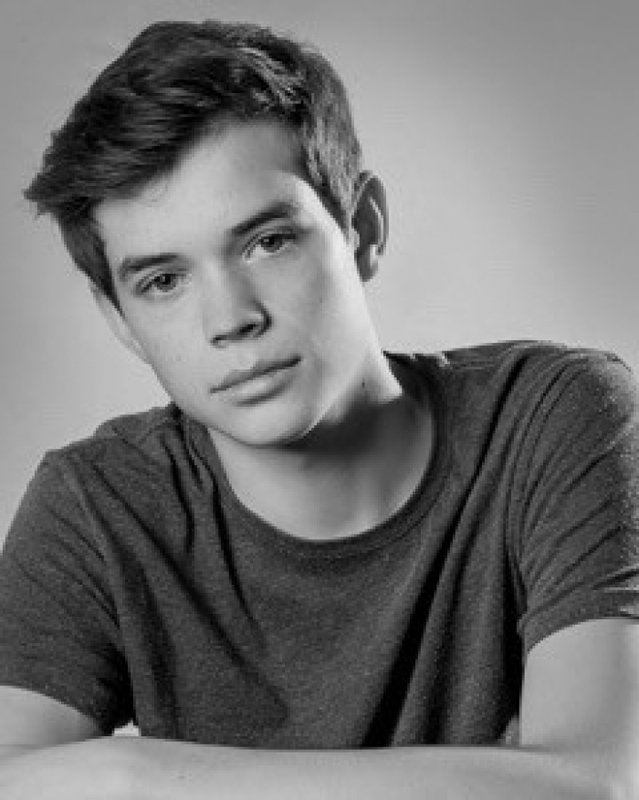 Earlier this year he auditioned for the part of Jake Grundy in The Archers and was delighted to be cast in the role. His first episode aired on Friday 13 April and he has recorded further episodes since. Rob has also had a number of other auditions for different upcoming films, adverts and plays. Reach for the stars Rob, we are delighted to hear that you are enjoying life and that all is going well for you. We will be watching and listening out for you now, as there will be more than a few OPs who regularly tune in to hear the latest from Ambridge. 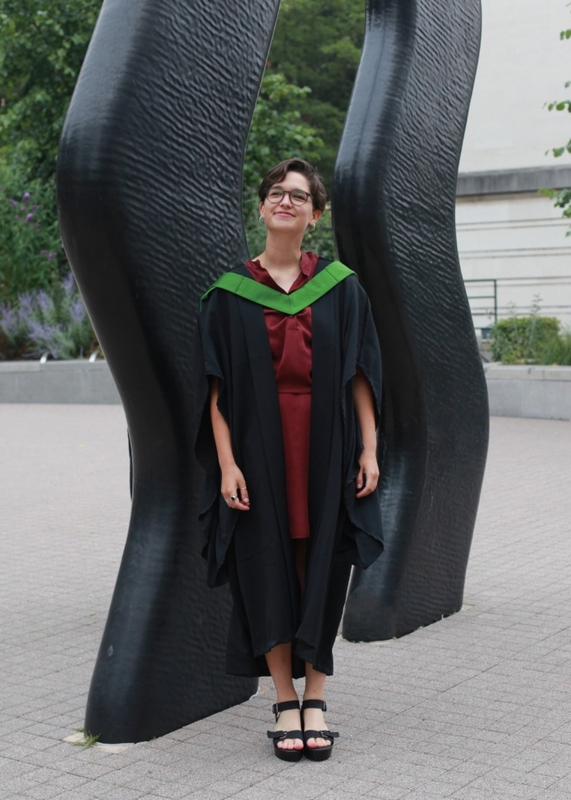 Congratulations to Laura Bickerton who graduated with a First in Biochemistry and Biological Chemistry from the University of Nottingham in July. Laura was inspired in her Science studies by Gill Smith, former Head of Science at Princethorpe and is pictured with her very proud Grandad, Alan Hobson on graduation day. Comments Laura, " I have just started my research Masters at the University of Oxford, having joined Wadham College where I will be studying Inorganic Chemistry as part of a research group, specialising in Supramolecular Chemistry. "From my time at the University of Nottingham, I have loved being in a lab and I hope to work towards a career in academia." We wish Laura all the very best with the next stage of her studies! 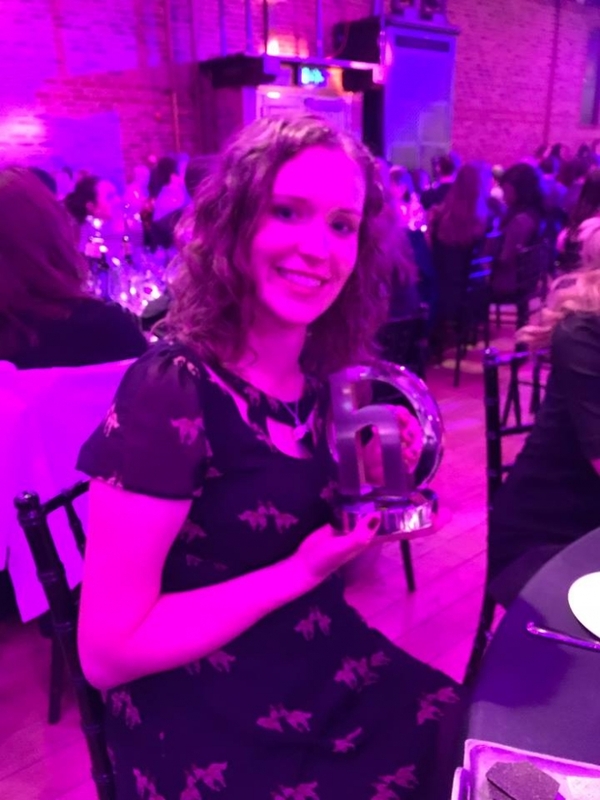 Felicity Hannah (King-Evans), who left Princethorpe in 2001, was named Freelance Journalist of the Year at the Headlinemoney Awards in May. 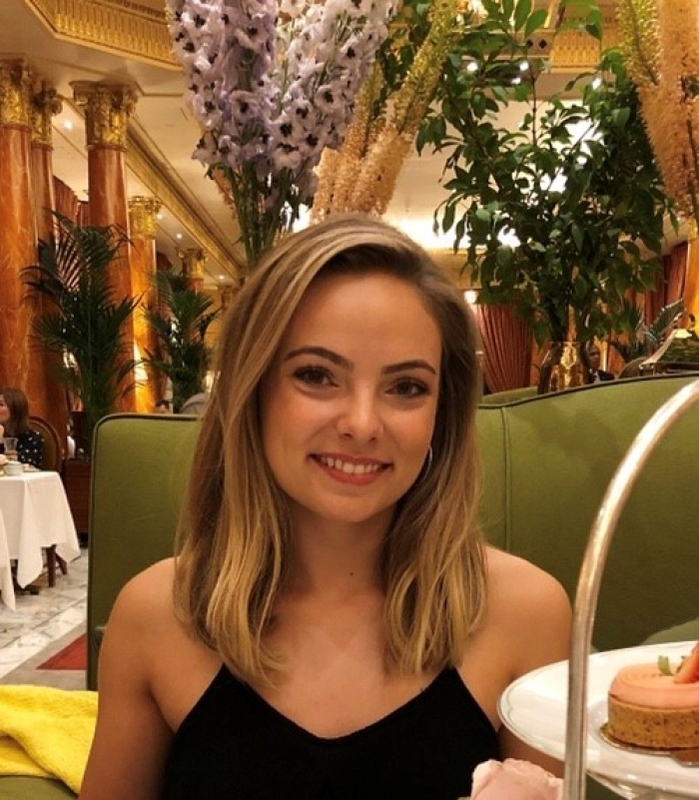 She now writes for the Independent, Mirror and Guardian, as well as working as a broadcast journalist for the business news team at BBC Radio 5 Live. Many congratulations Hannah - what a fantastic achievement! We were delighted to hear from Oscar Thornton who left Princethorpe College back in 2014. Oscar first took a gap year and worked as one of our Graduate Teaching Assistants at the College. He then went on to Swansea University to study for a BA in History. Last summer he successfully graduated with a 2.1 and chose to stay in South Wales and continue with his education. He is now studying for an MA in International Relations again at Swansea University. Thanks for the update Oscar and congratulations on your degree success. 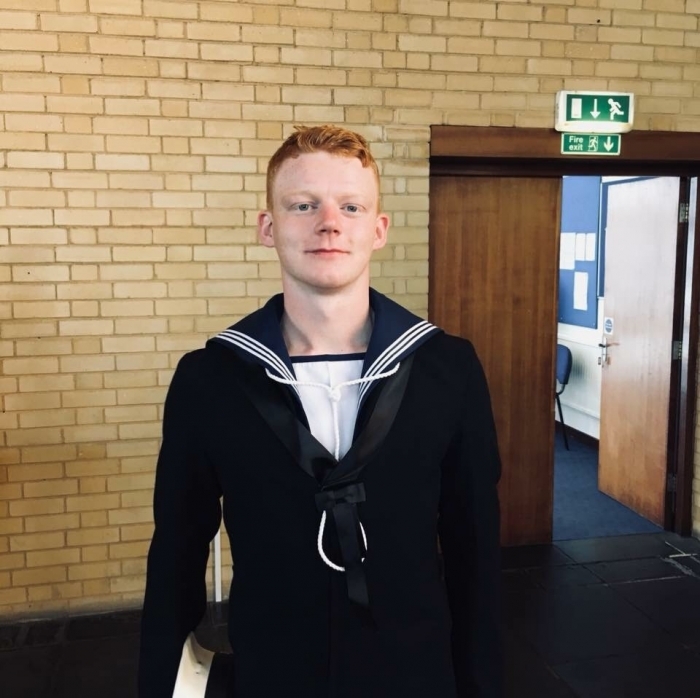 In February 2018, OP Alex Hammond enlisted in the Royal Navy. He takes up his story below. My name is Alex Hammond. I am currently training as a Mine Warfare Specialist in the Royal Navy. 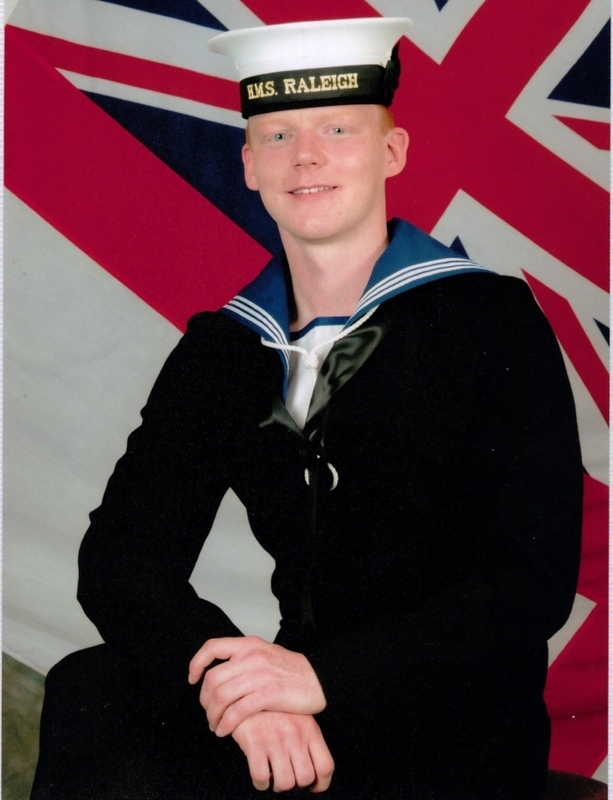 Since leaving Princethorpe College in 2012, I studied product design at Nottingham Trent University and worked as a product designer for two years before deciding to join the Royal Navy in February this year. 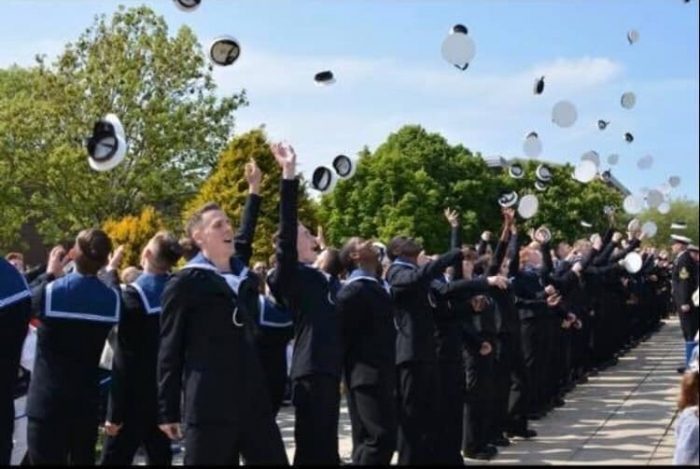 To join the Royal Navy, trainees must first undergo a rigorous 10-week course designed to convert civilians into military personnel and pass out into the fleet. 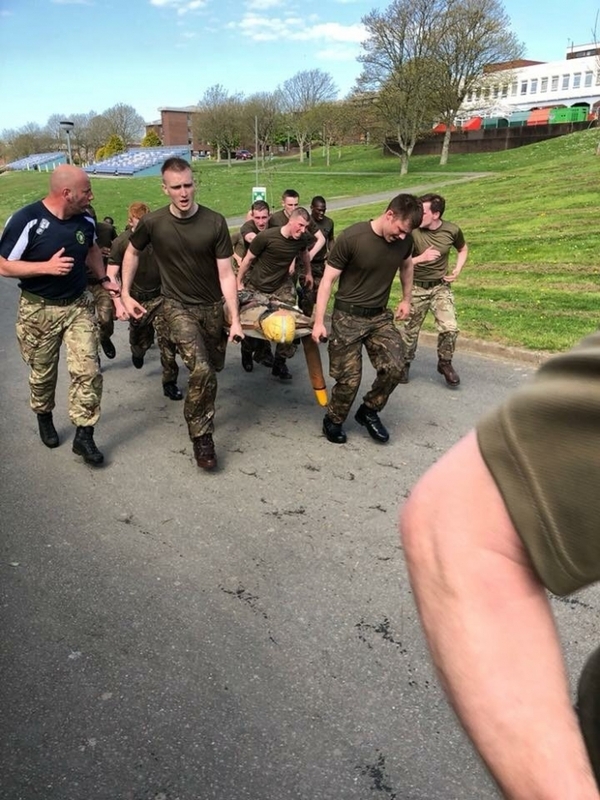 This course is an intense mix physical training sessions but in between them trainees are taught fire fighting, boat driving, teamwork skills hiking across Dartmoor and many more! But it’s all worth it while laughing with your friends who are going through the same thing. 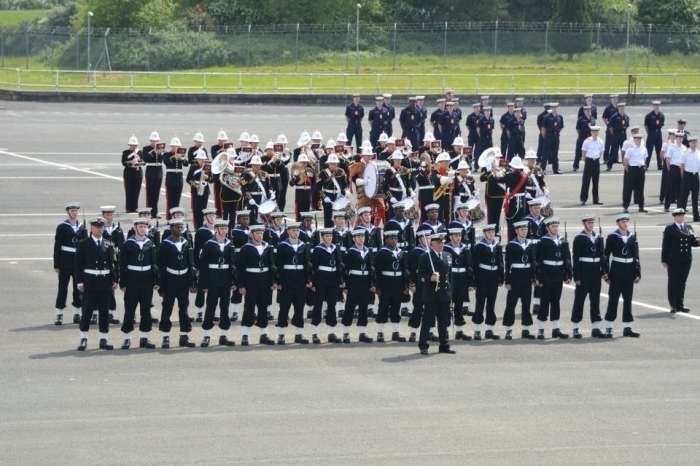 Trainees who have completed the course pass out into the fleet by taking part in a passing out parade. Passing out essentially means you are now military personnel and ready to learn your chosen trade. 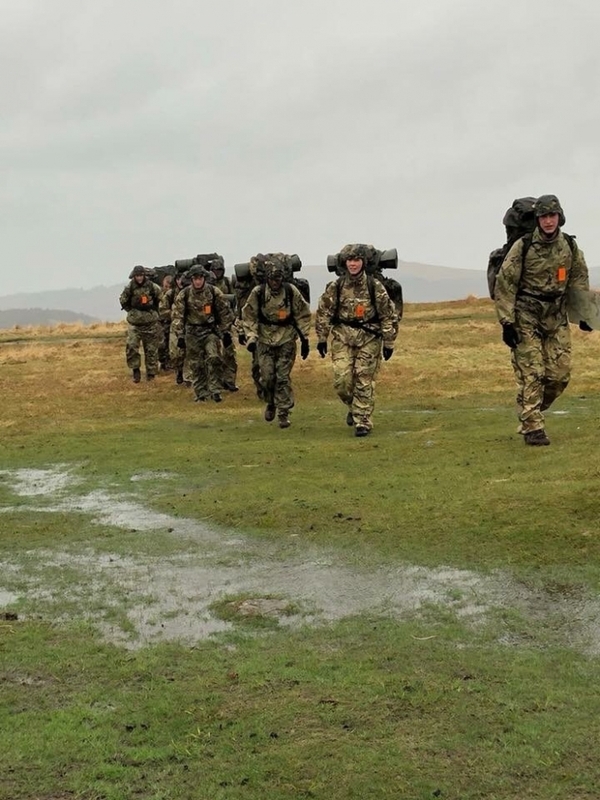 Since passing out I have been lucky enough to compete for HMS Raleigh in field gun competitions and have been doing adventure training in the Brecon Beacons (all while studying to be a mine warfare specialist). I am due to join my first ship before the end of the year and go on my first 6-9 month deployment. I would thoroughly suggest the Royal Navy to anyone thinking about joining the military, it has been a great laugh right from the start and the amount of opportunities for sport and travel are huge. 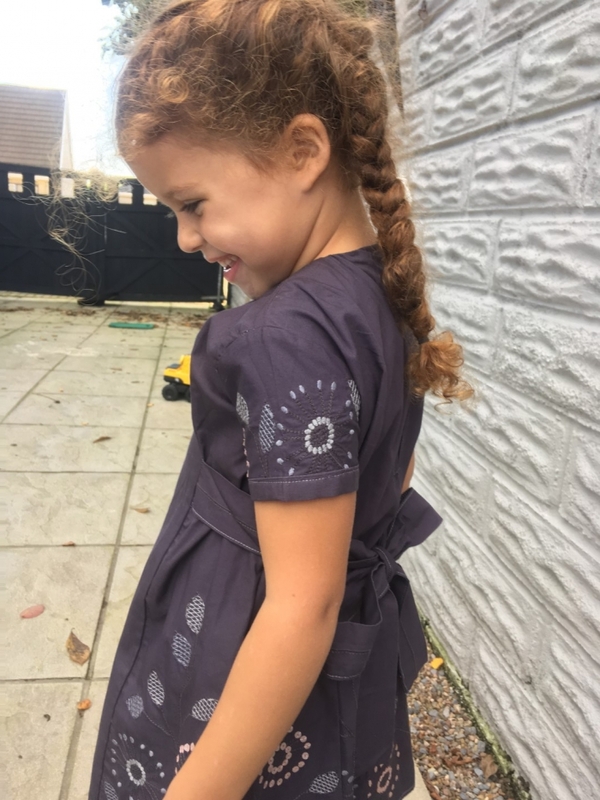 Thank you for sending in your update Alex. Wishing you all the best with your future studies and training and for your first deployment from all at Princethorpe. In July this year Father Carl Tranter MSC celebrated the Silver Jubilee of his Ordination at Western Road, Cork. He concelebrated Mass with other members of the Missionaries of the Sacred Heart. 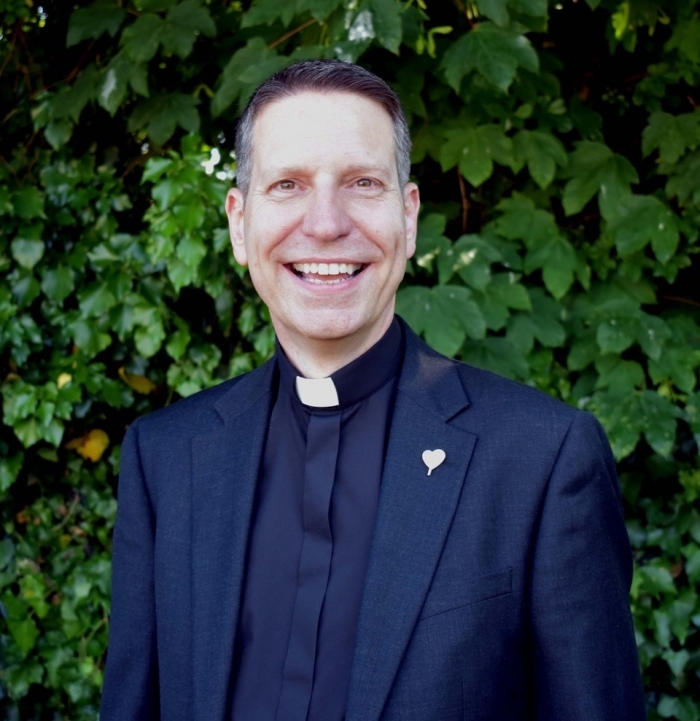 Father Carl was born in Leamington Spa and was educated at Princethorpe College from 1977-1984. After working in banking he joined the religious order and was ordained in the College Chapel in 1993. He was a trustee of the Foundation until his appointed as Assistant Superior General of the MSC Congregation and a member of the General Council in Rome in 2011. Last year Father Carl was appointed Provincial of the Anglo-Irish Province of the Order and he is now based in Dublin. Past pupil and member of staff, Eddie Tolcher, and his wife Ann travelled to Cork to join Carl, his parents Rod & Julie and his sister Sheena and friends at the Mass and celebrations afterwards together with other members of the religious congregation with jubilees to celebrate and their family and friends. Eddie said, "It was a real privilege to be asked to join Father Carl at this special celebration and it was wonderful to meet so many MSCs and in particular those who have long standing and strong links with Princethorpe including Fr Charles Sweeney, past Head, Fr Mick O’Connell, Fr Terry O’Brien, Br Donie Hallissey and Fr Pat Sullivan". When Old Princethorpians Tom Hilditch, Caspar Davies and St John White met up at the latter’s wedding in 2017, it was inevitable that following the nuptial celebrations an adventure was planned. 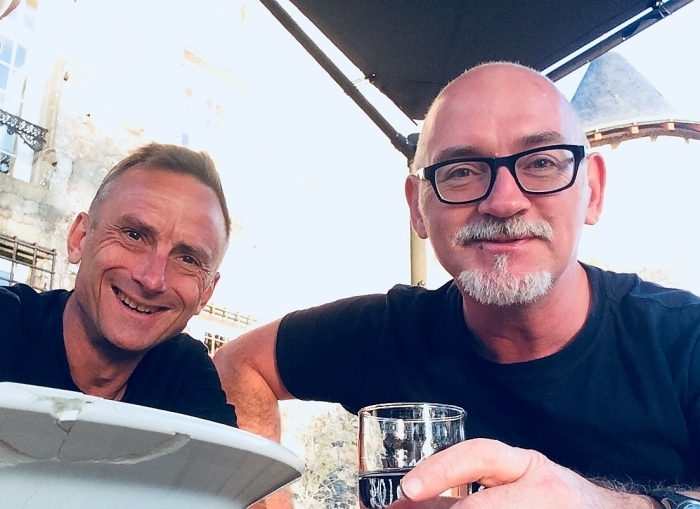 The three former room-mates agreed to meet up within the year to navigate the waters of the Loire, explore the region’s fine wines as well as its historic chateaux – on two wheels. By the time the agreed date in September 2018 arrived, Caspar had had to pull out of the trip due to a ‘once in a lifetime’ career opportunity in Budapest. Undeterred, the White: Hilditch duo pressed on with their trusty cycles, tightest Lyrca outfits and trusty Michelin roadmap. Stopping off at the Davies household for a sea front send-off meal (a wonderful gift from Tom’s legendary father George) the two pals set off for four days cycling from Nantes to Saumur and back again. The weather was superb, the roads smooth (not a pothole in sight!) and the route along the majestic Loire river was delightful. Fortified with great memories and several cases of fine local wines, St John and Tom returned back to Blightly, where Tom spent a few days catching up with friends and family before flying back to Hong Kong. 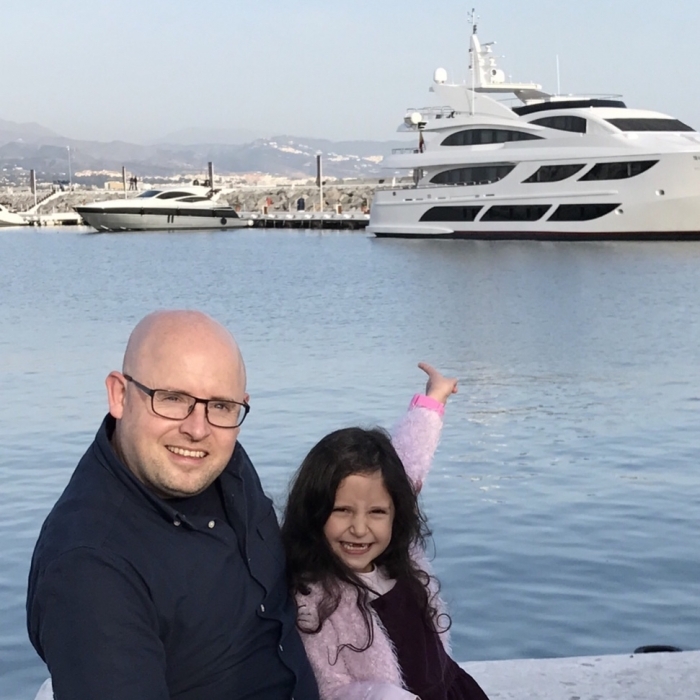 Both agree that they’ll do another trip next year – this time with Caspar on board! Pictured left Tom Hilditch and right St John White. OP, Will Hedderwick has landed a hotly contested apprenticeship in Aerospace and Aviation Engineering. Will was selected from hundreds of applicants to take part, alongside 40 other candidates, in a skills day involving written tests and practical work. Following on from that he was one of only 15 who were subsequently interviewed and was delighted to be one of only four who were finally offered the opportunity of an apprenticeship. 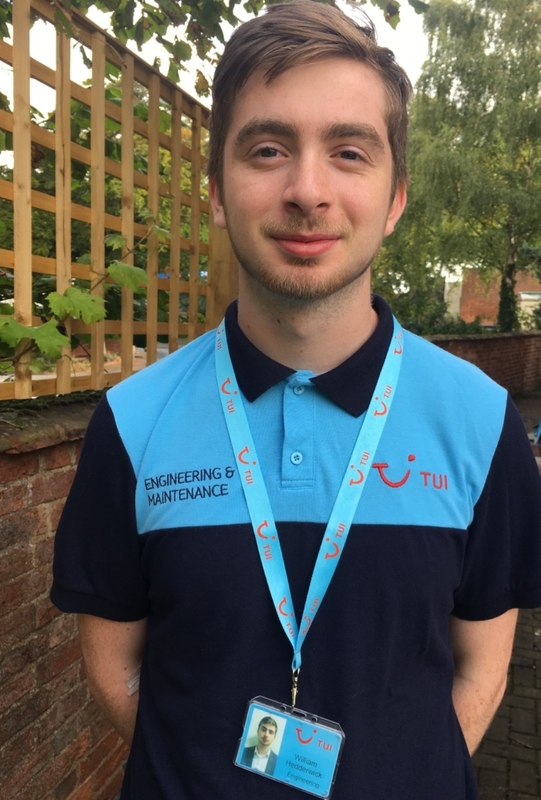 Will who left Princethorpe College in 2017 is now working for TUI Airways as a TUI Airways Engineering Apprentice. The 4-year apprenticeship schemewill qualify him as an Aircraft Maintenance Engineer. 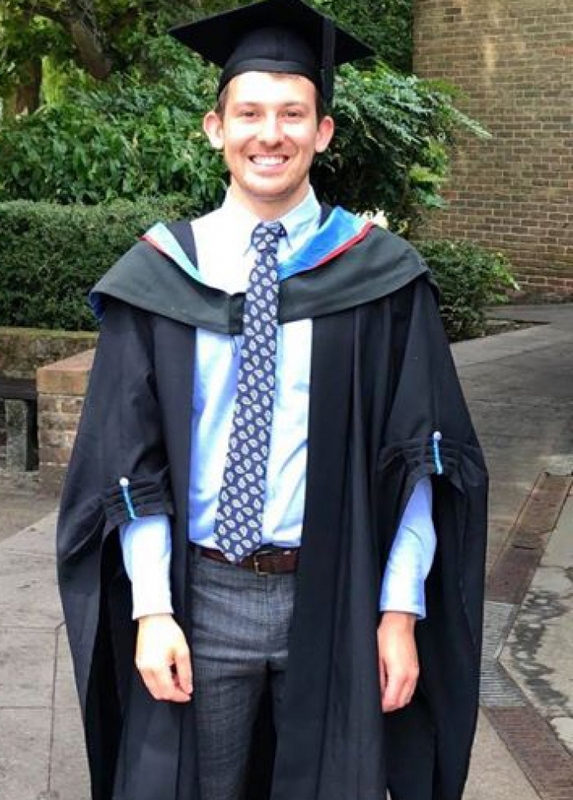 He is currently studying for a Diploma in Aerospace and Aviation Engineering at Stanstead Airport College and as part of the apprenticeship he will also be working at Luton Airport in the hanger during his studies. Once he has completed the apprenticeship he will work on a variety of aircraft within the TUI fleet and will secure the Civil Aviation Authority Qualification as an Aircraft Maintenance Engineer. Congratulations Will we are delighted to hear of your apprenticeship success. Jacob Stone has returned from his Medical Elective in Malawi, that we reported on in the last edition of the OPs newsletter. 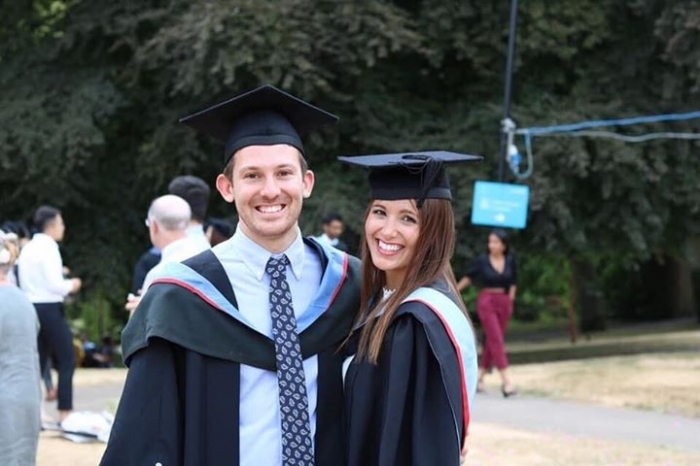 Over the summer he graduated from university and he has since started as a first year foundation doctor at Dorset County Hospital in Dorchester. He will be working four month rotations in Acute Medicine, Cardiology, General Surgery, Intensive Care, General Practice and Emergency Medicine. Congratulations Jacob and thanks for the update. 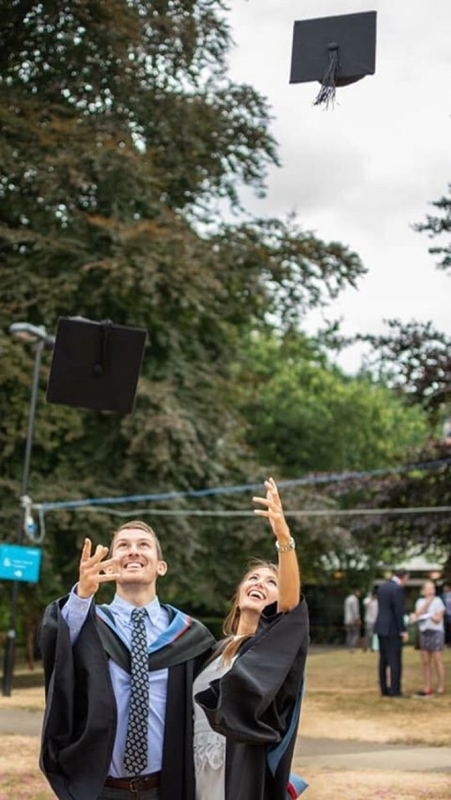 Josh left Princethorpe in 2016 and went on to study Spanish and Portuguese at Queen’s University Belfast. He is just beginning the third year of his degree and will be spending it abroad. 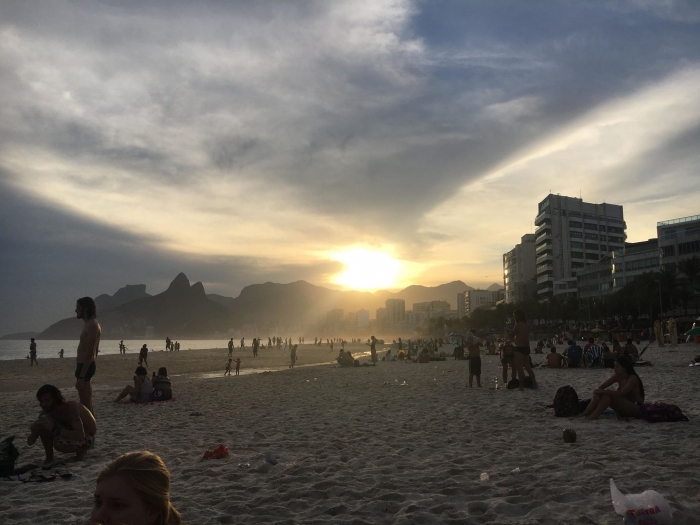 For the first half of the year he has travelled to Brazil and is making the most of an exciting opportunity to study and live in Rio de Janeiro. 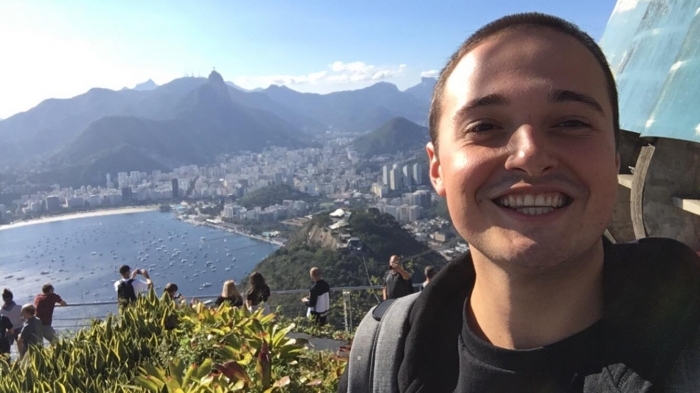 Josh told us, "I’m studying here in Portuguese at our partner university Pontifícia Universidade Católica do Rio de Janeiro until December. Then I will move to Oviedo, Spain in January to study in Spanish. I am enjoying my time here so far and can’t wait to make more memories over the year and all while improving my languages!" What a fantastic opportunity Josh - make sure you send OPs an update at the end of the year! Julie Habaoui taught at Crackley Hall, formerly St. Joseph's, for 15 years from 2002. 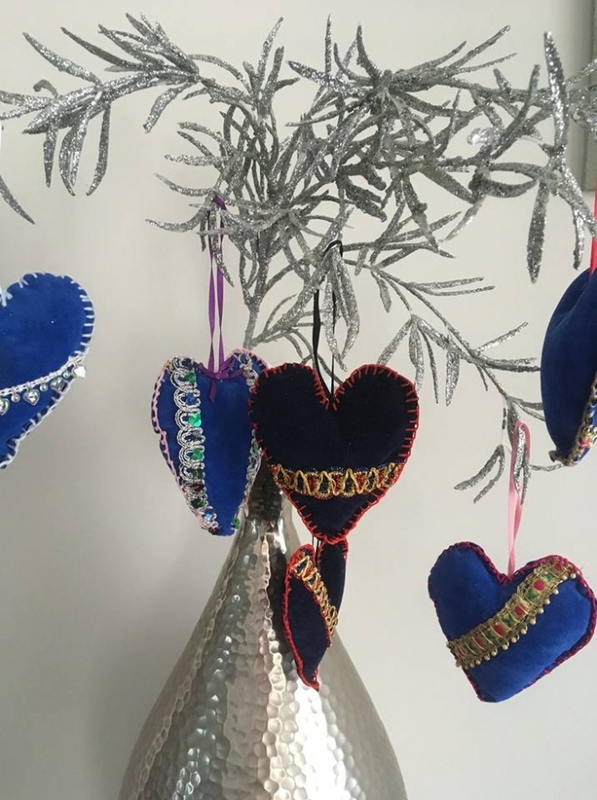 She left the school in 2017 to spend more time looking after her two small children, Aicha and Ali, and to pursue a career, which she had always wanted, being creative, handcrafting, upcycling and designing. 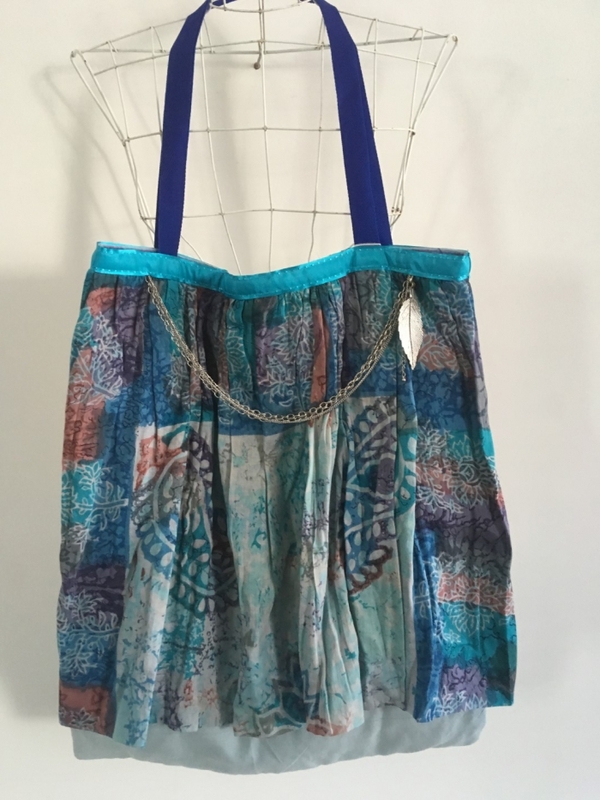 Using new, recycled and pre loved fabrics she creates unique and individual items always mindful of the environment and sustainability. 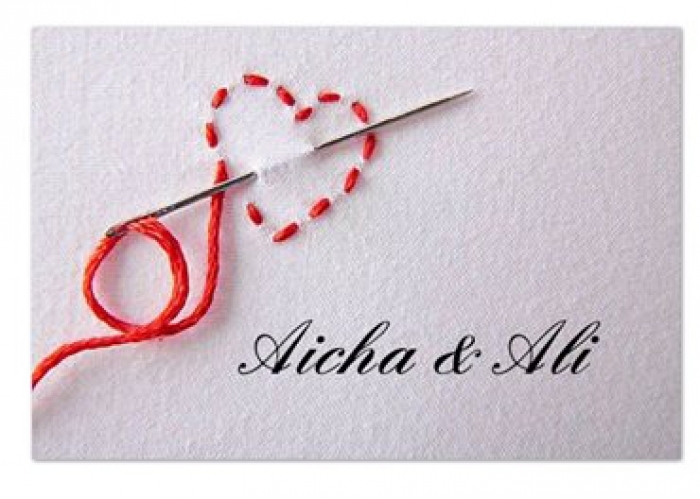 Now based in Carmarthenshire she sells her work through her Facebook page - Aicha & Ali. It offers wonderful, unique and bespoke work all created with time, patience, love and care. There are dresses, bags of all shapes and size and plenty of Christmas goodies. 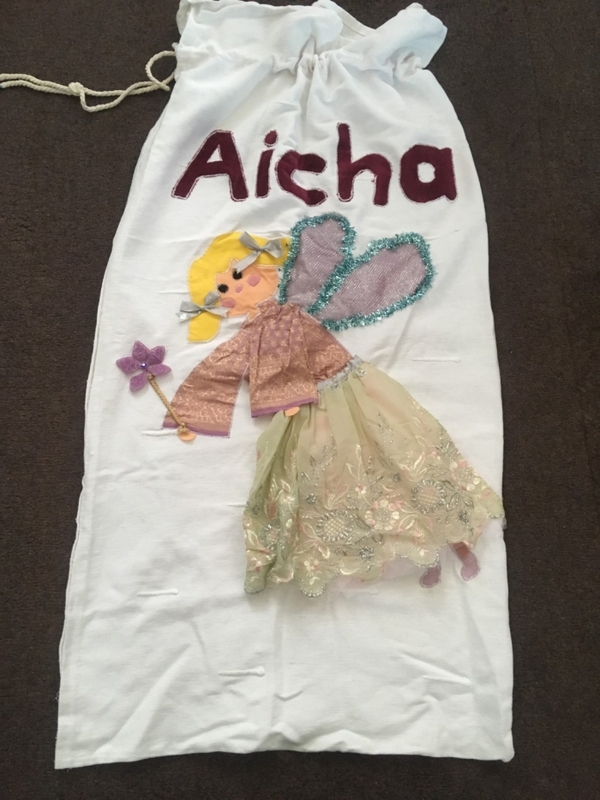 So if you are looking for something special why not take the opportunity to discover her special goodies at Aicha & Ali. Daniel Dziurzynski is planning to study Mechnical Engineering at University and is looking for relevant work experience. Would any Old Princethorpians be able to offer Daniel a work experience placement?